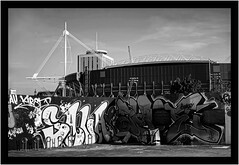 Such a large wall in the Grangetown part of Cardiff and such a long time since a large scale paint jam was held there. 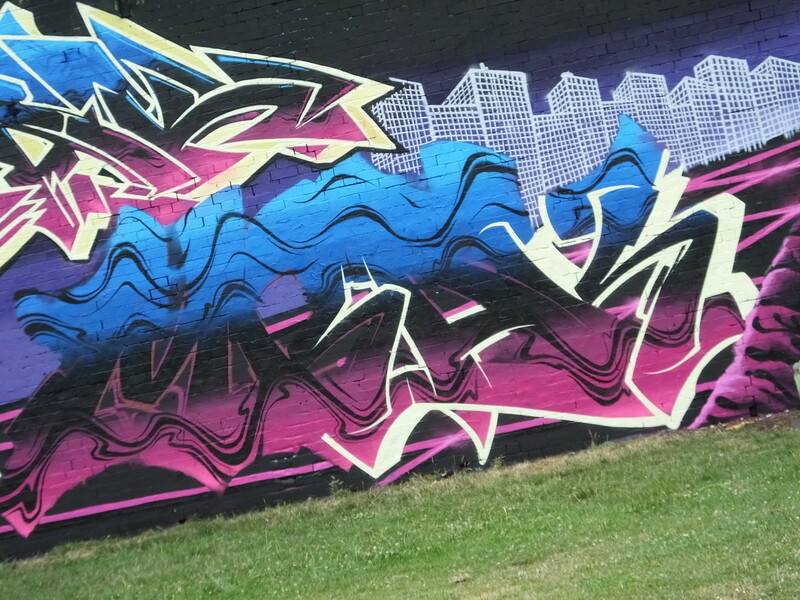 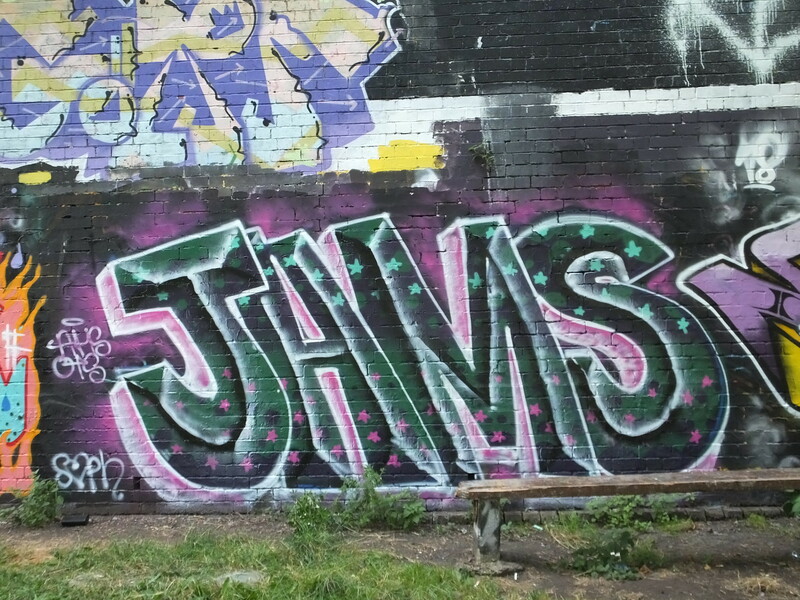 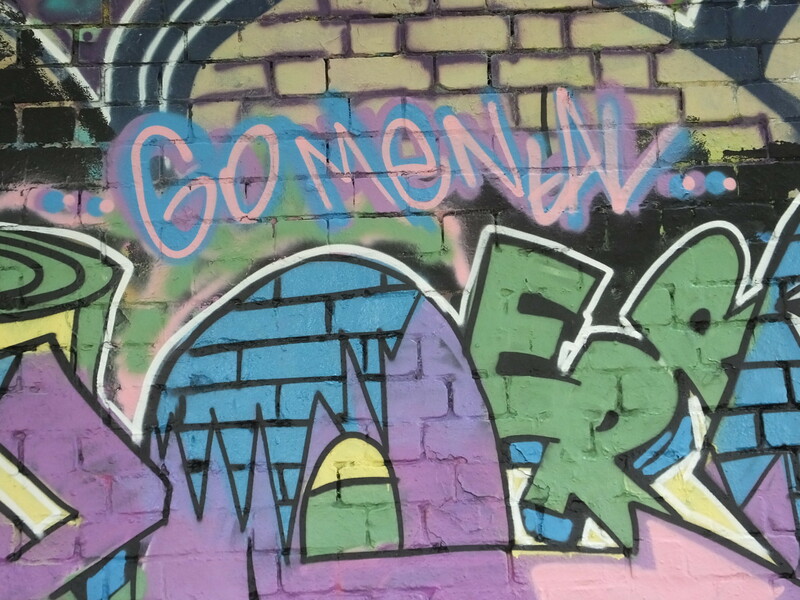 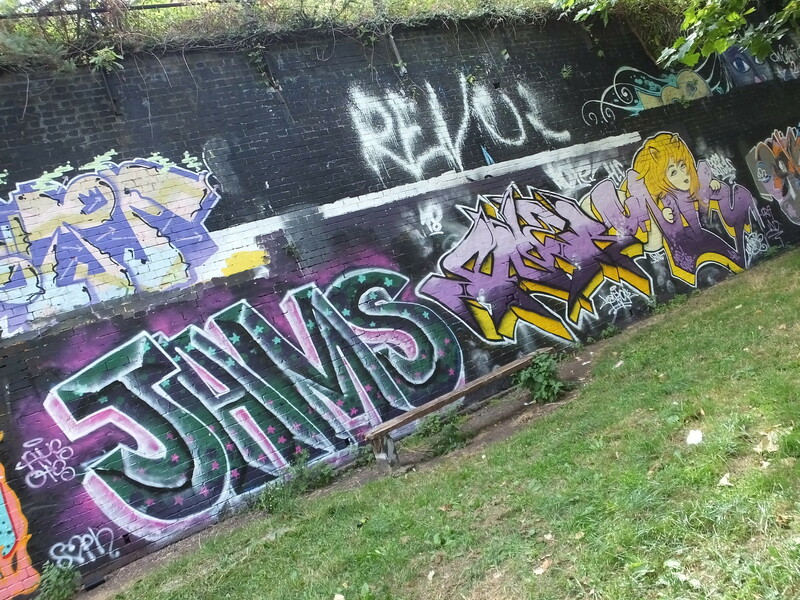 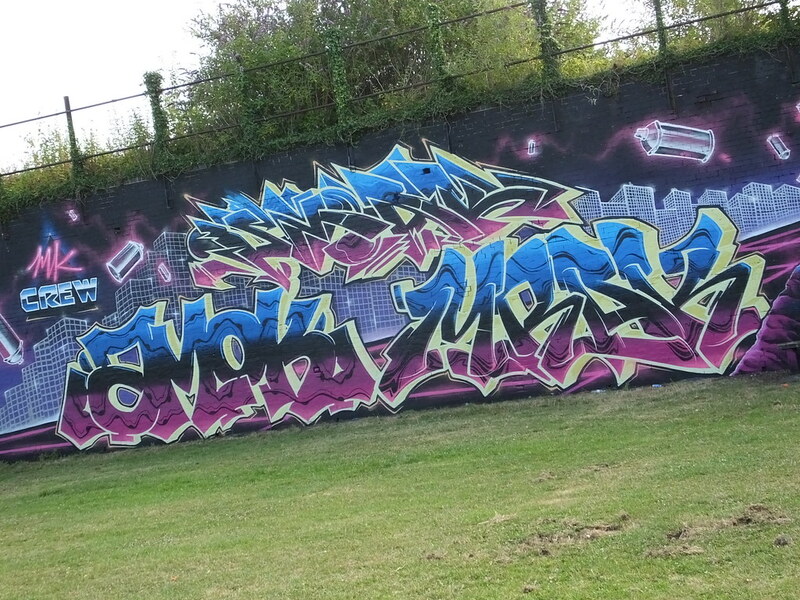 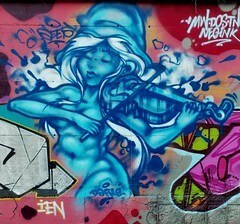 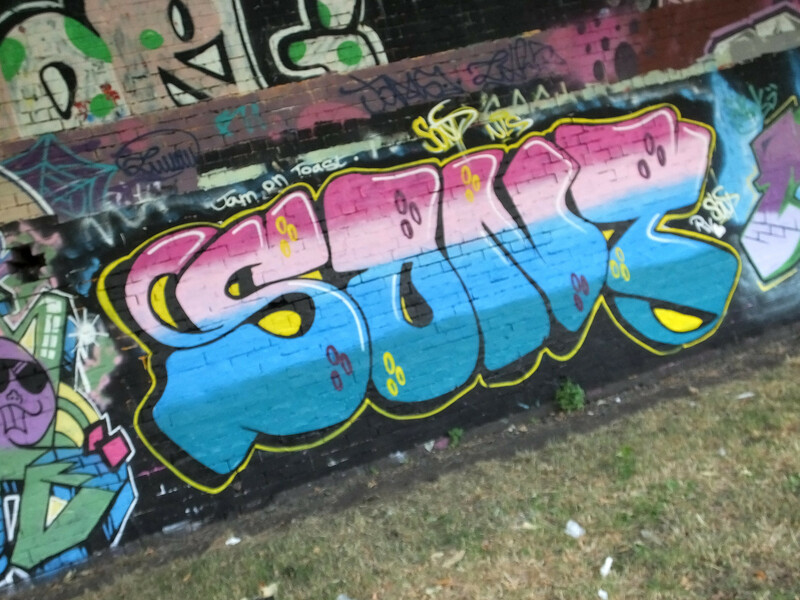 So step forward ‘Misery Hymns’ who organised the latest paint jam to hit the park. 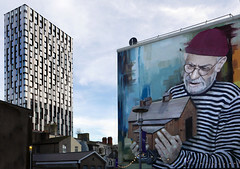 The event attracted a wide range of writers and painters from Cardiff and the surrounding areas. 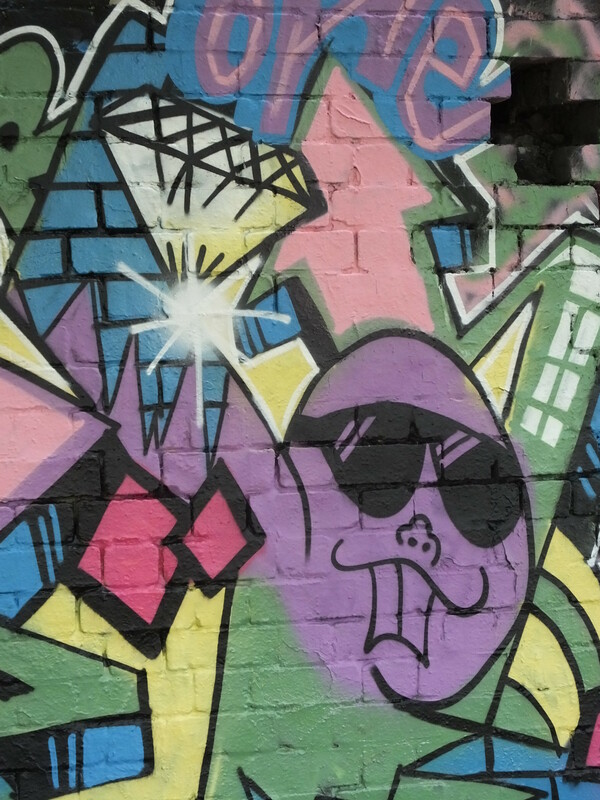 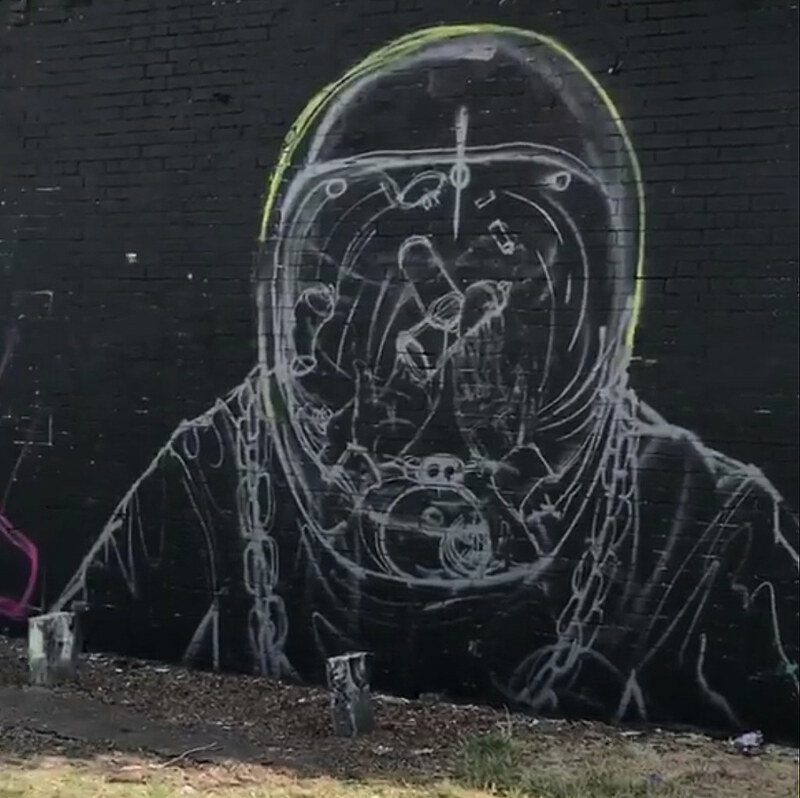 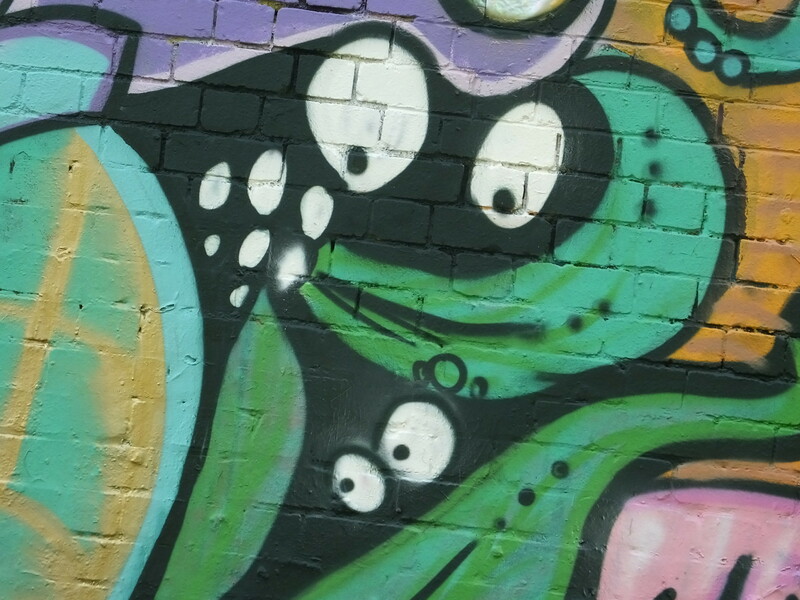 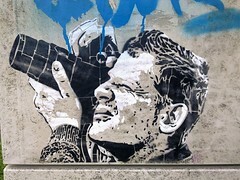 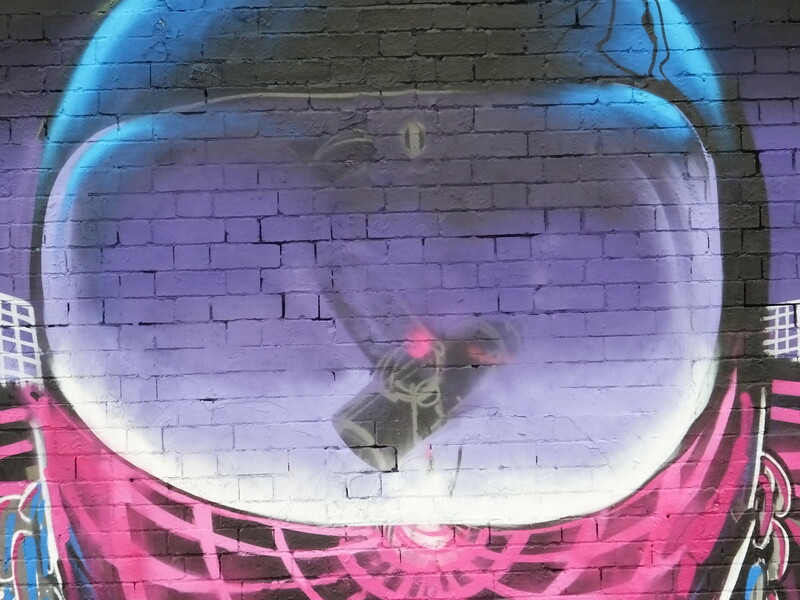 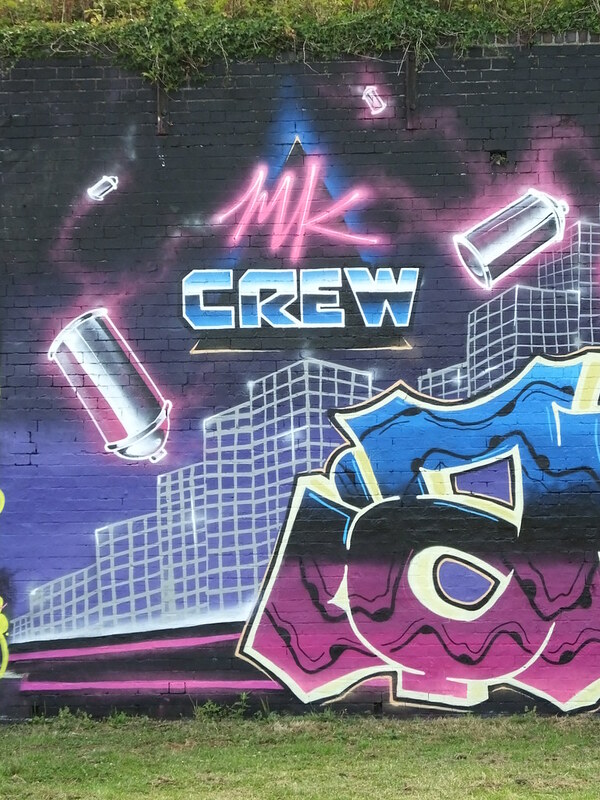 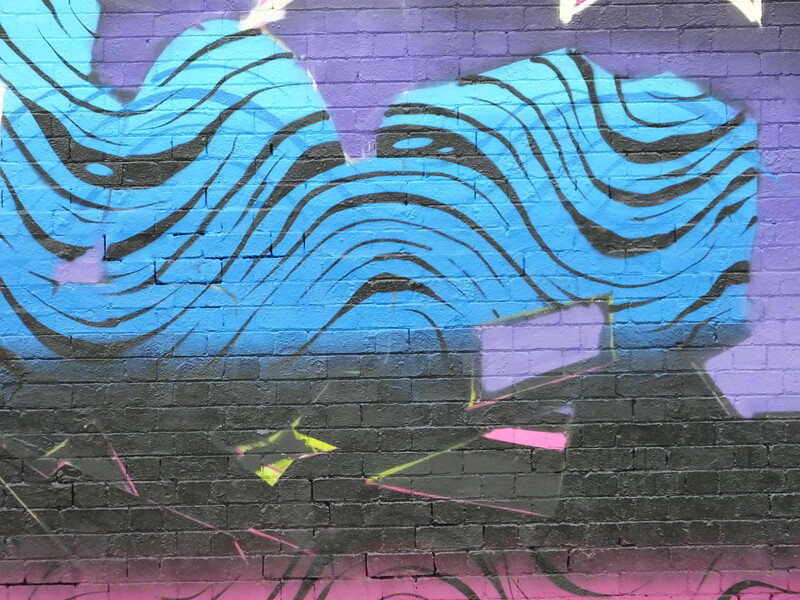 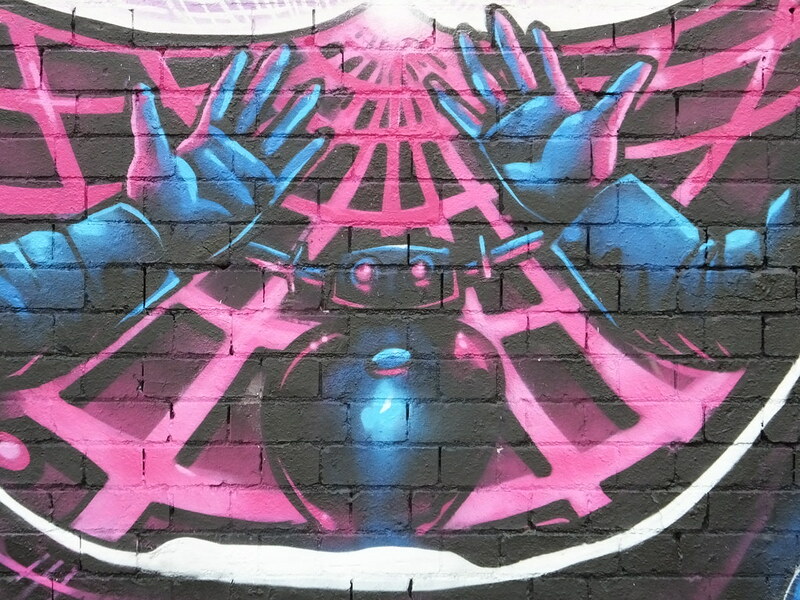 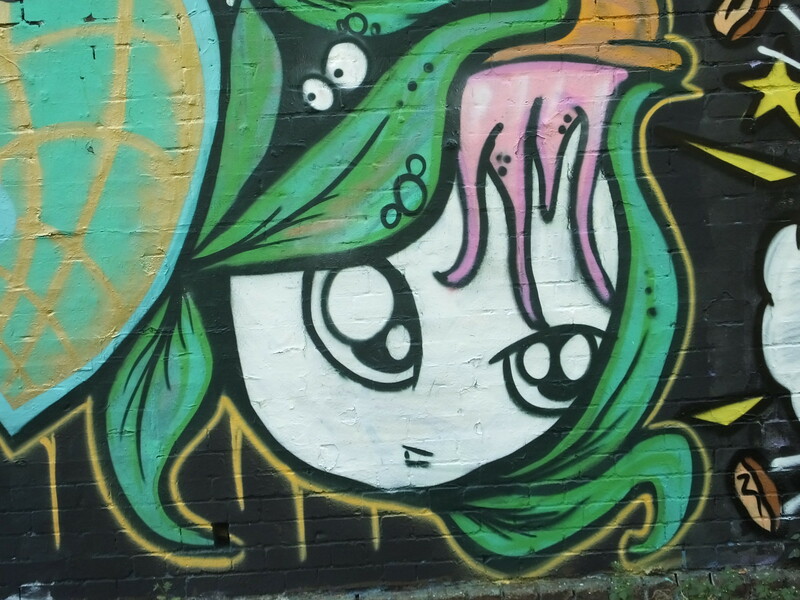 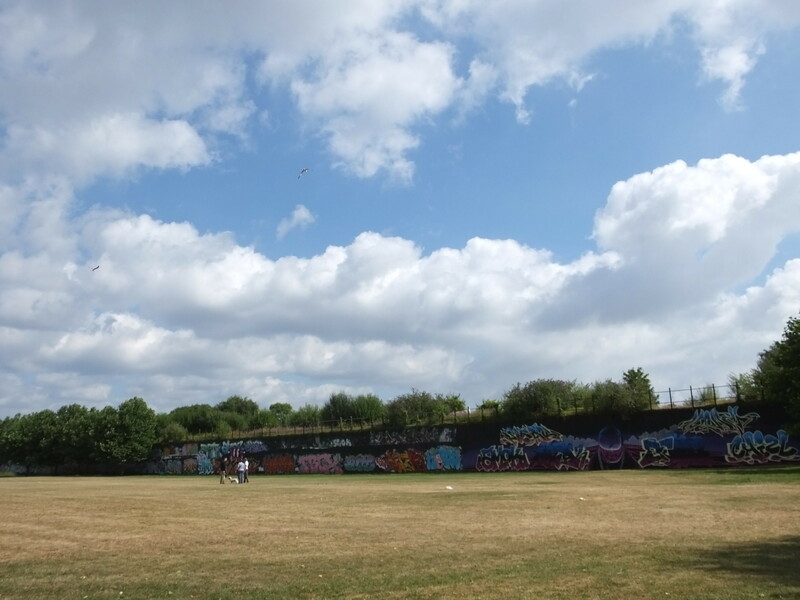 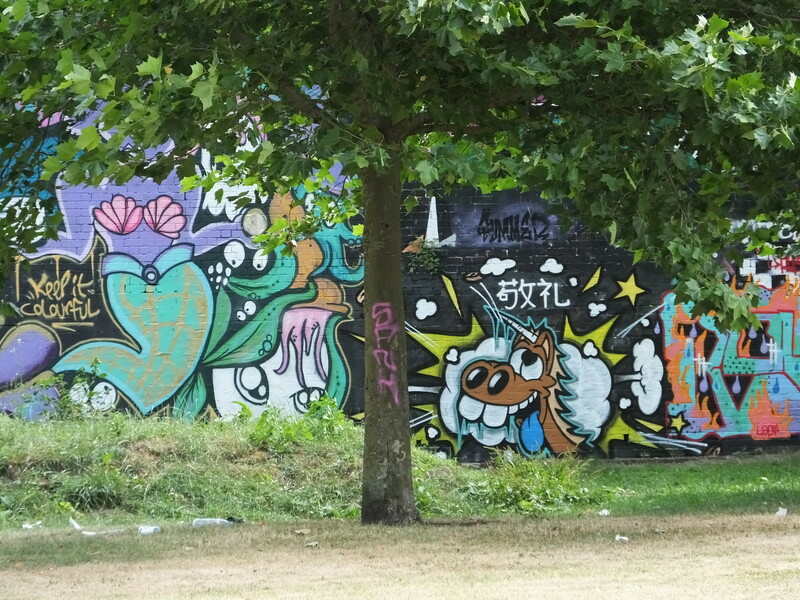 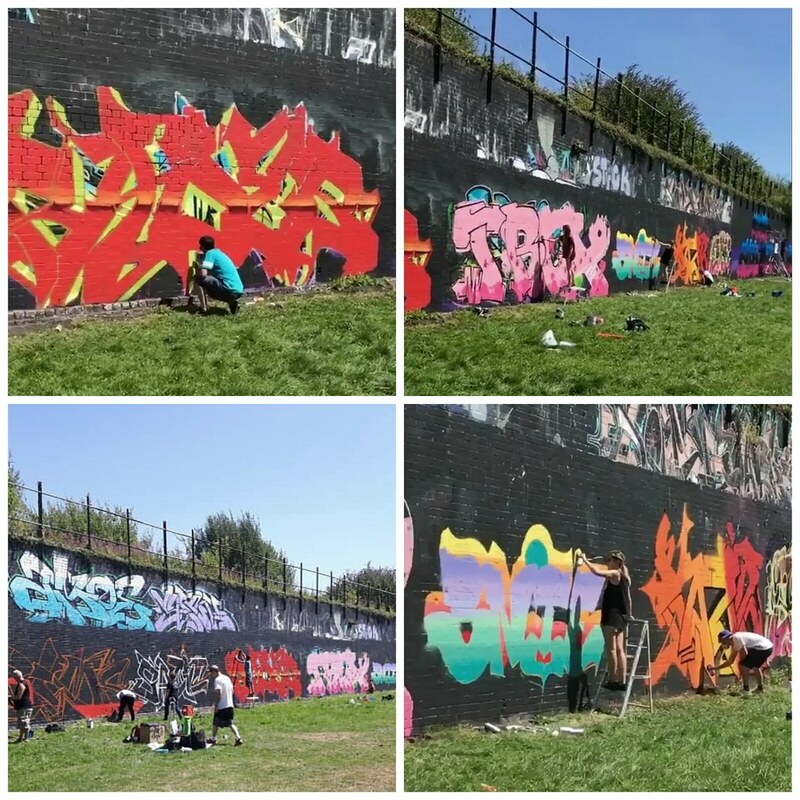 It was a scorching Summer’s day so whilst the country basked in a heatwave the artists tackled the wall and the heat. 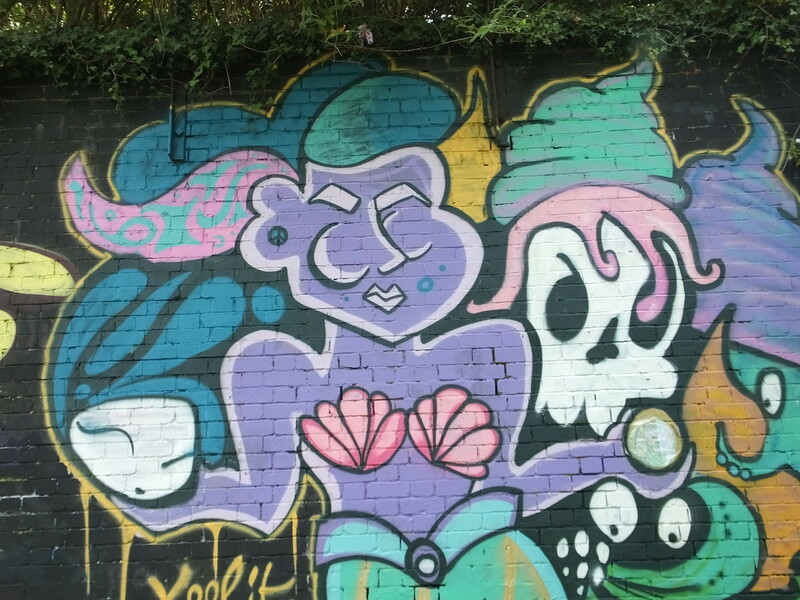 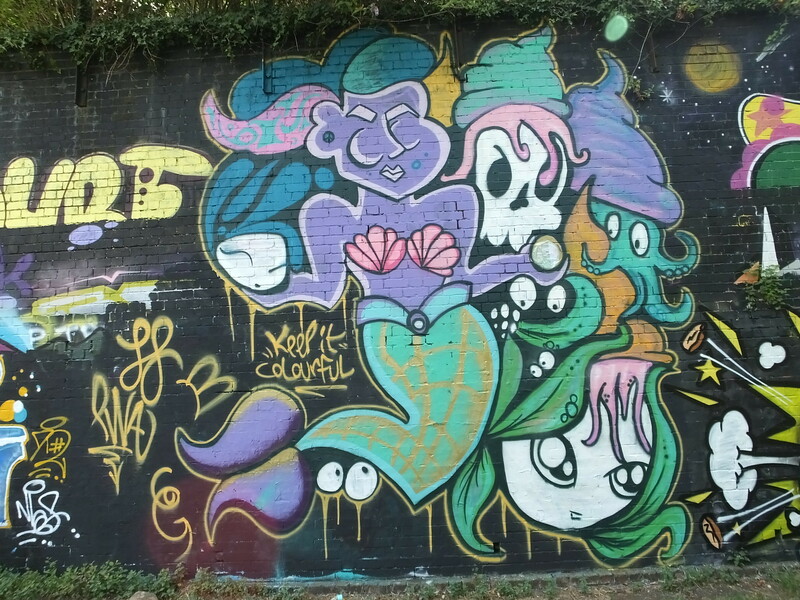 Let’s work from the left hand side of the wall which features some fantastic character art from ‘Keep it Colourful’ and ‘Face First’ creating this underwater mermaid utopia. 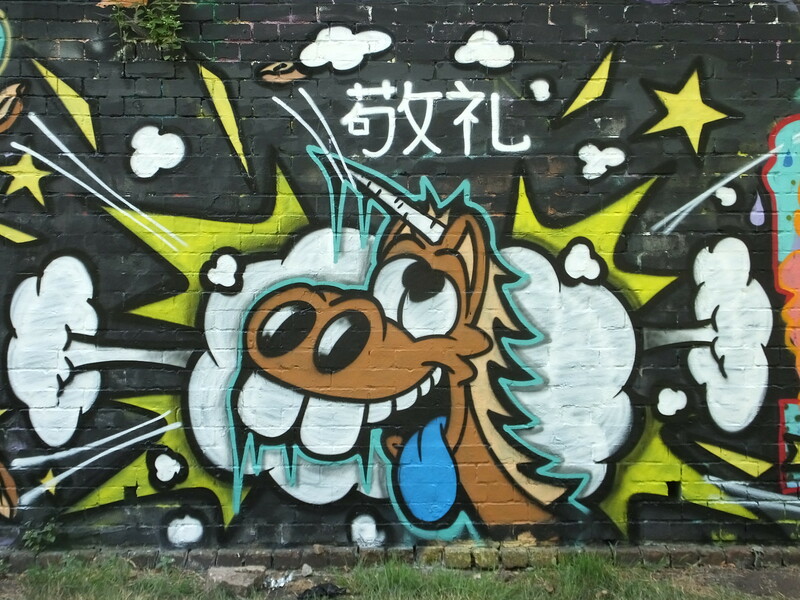 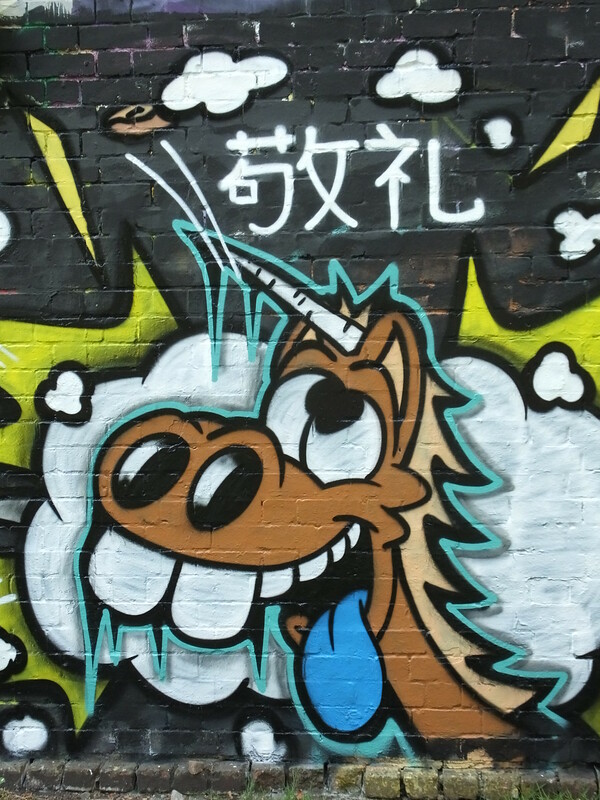 Next to this was another character from Ice Cream Buds whom painted a horse, that was either delirious with the hot weather or from taking too much horse tranquilisers! 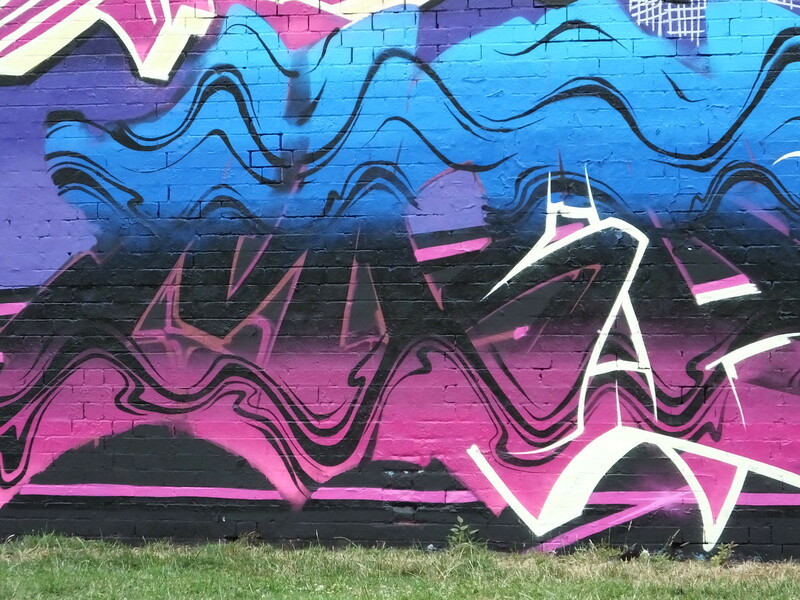 Such clean, clean lines on this one – absolutely stunning! 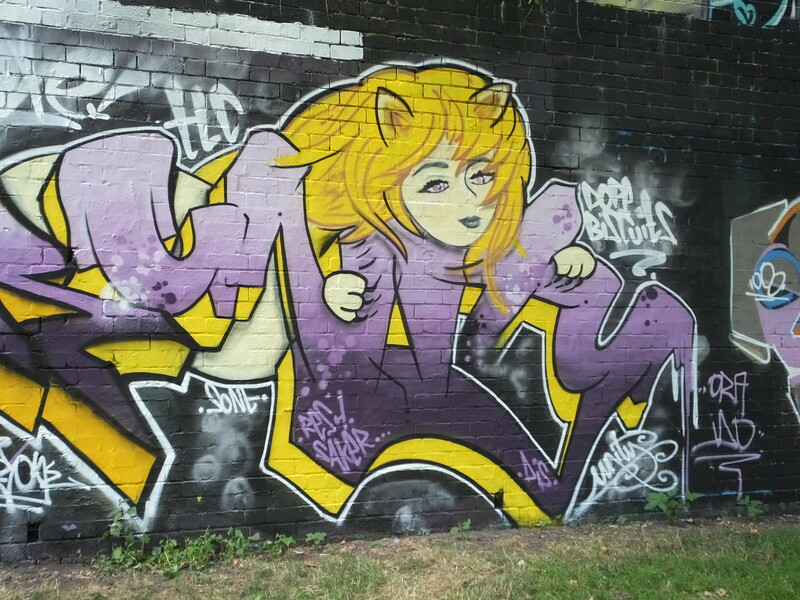 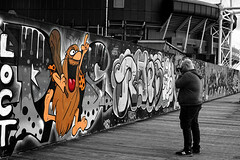 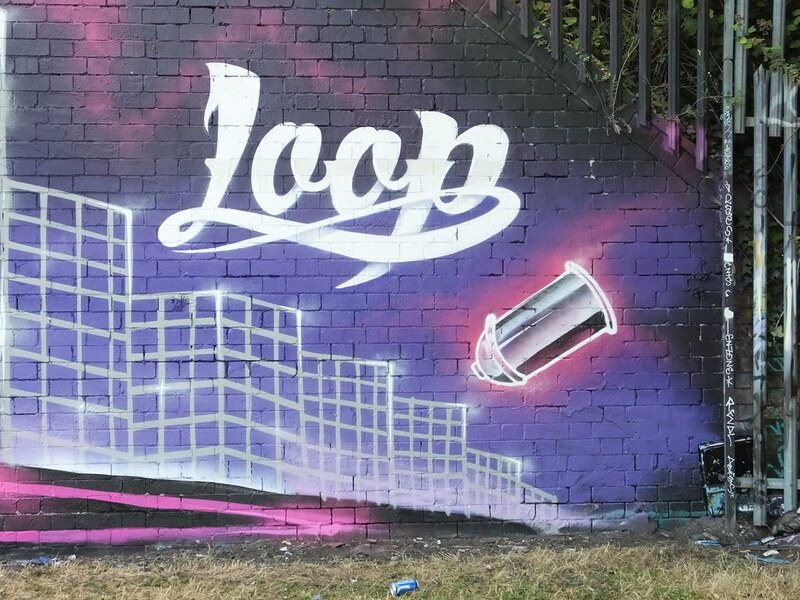 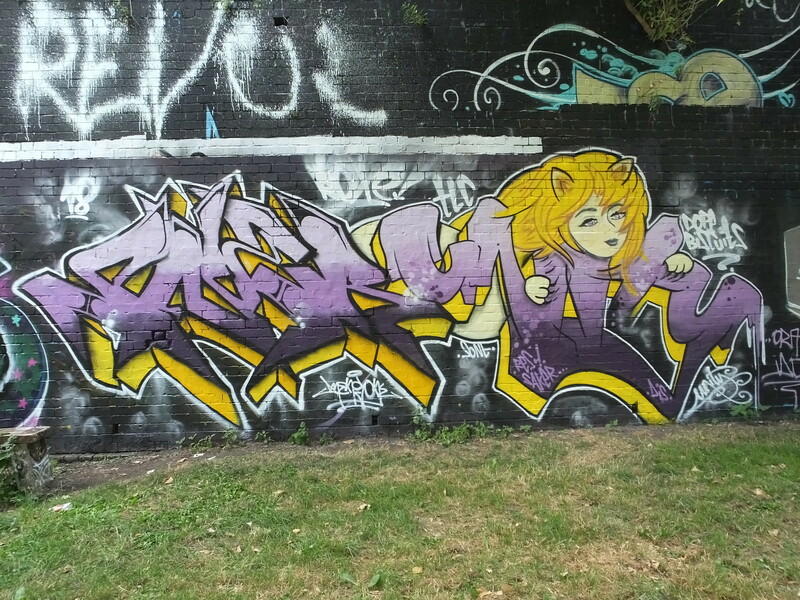 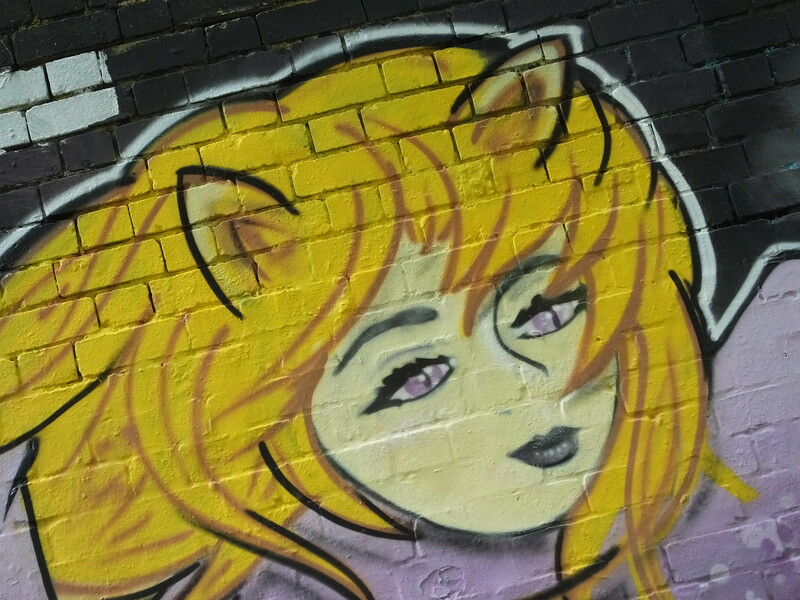 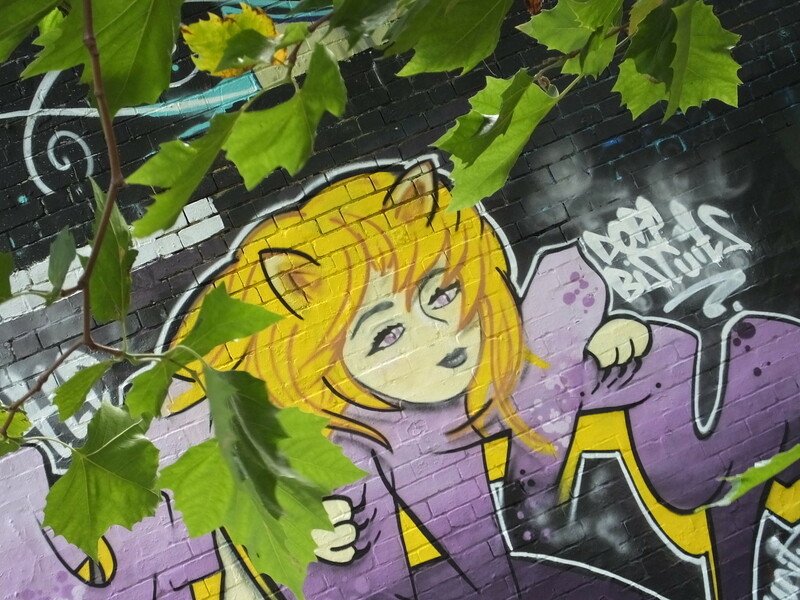 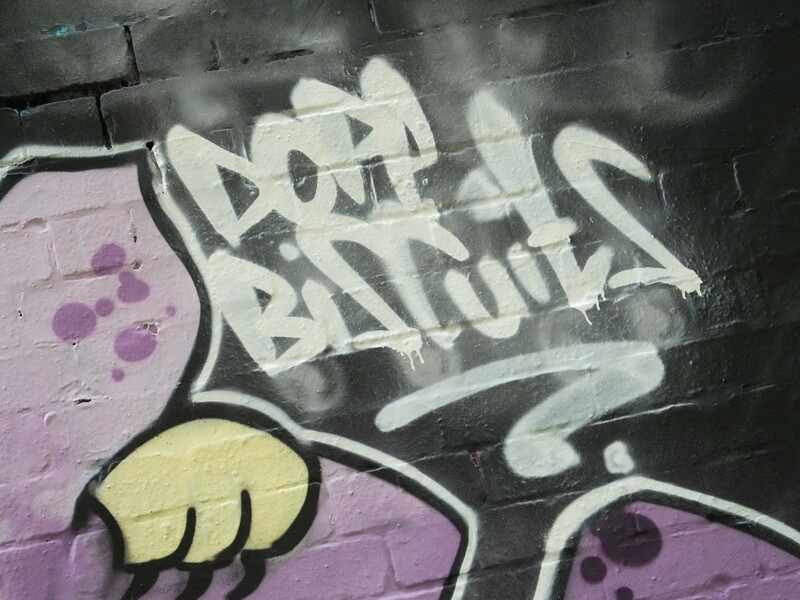 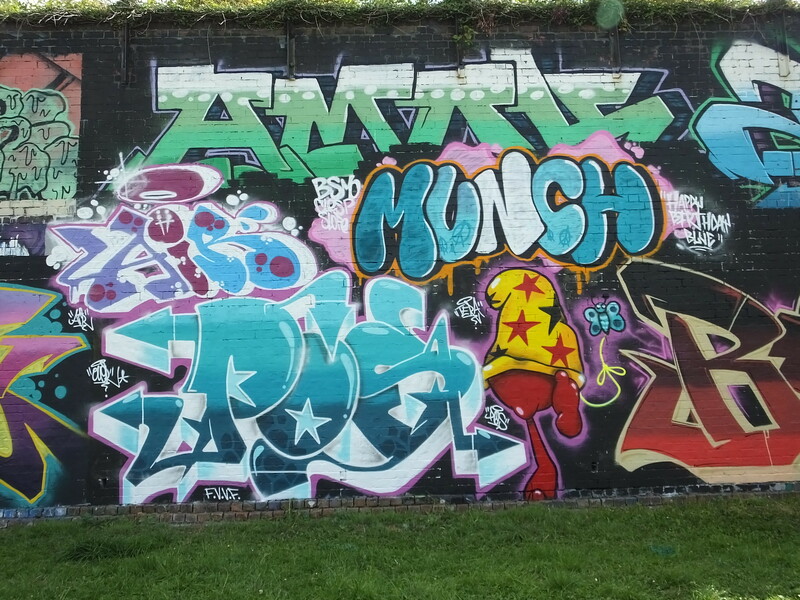 Moving along and some colourful work from Jams and a lioness from Unity with a tag for local band Dope Biscuits. 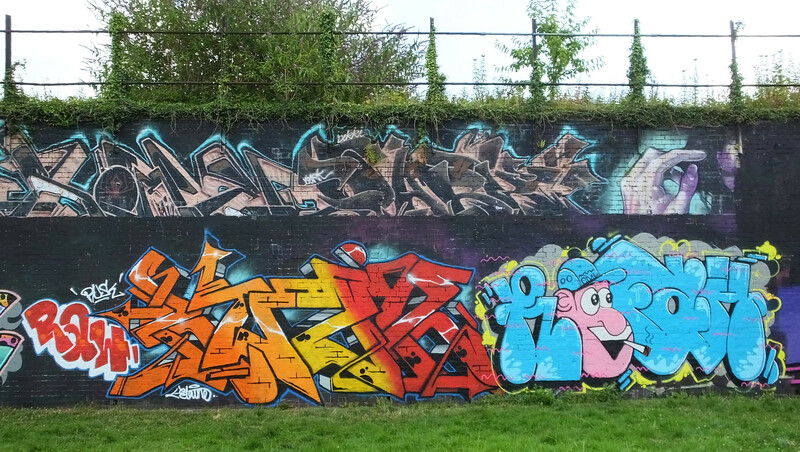 It’s great when a jam gets everyone painting together with some great collabs appearing throughout the wall – Air, Tera Pos and Munch have joined together below. 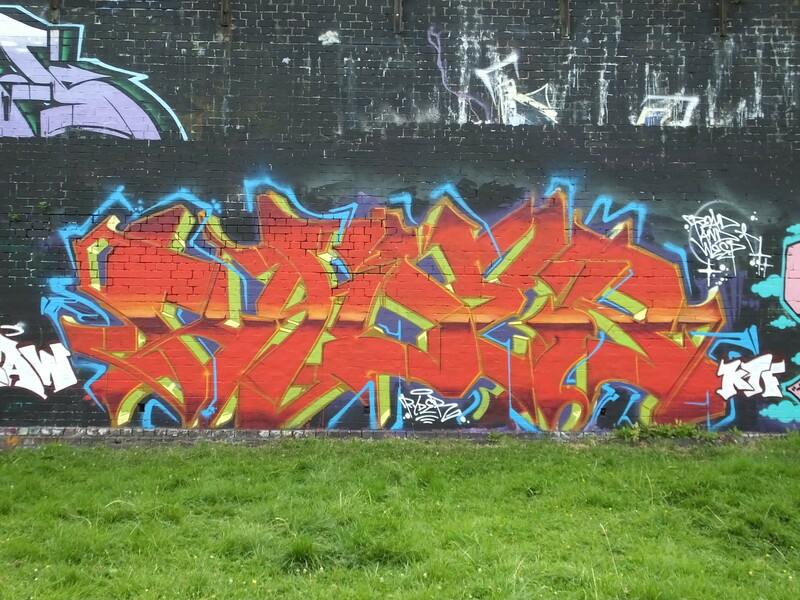 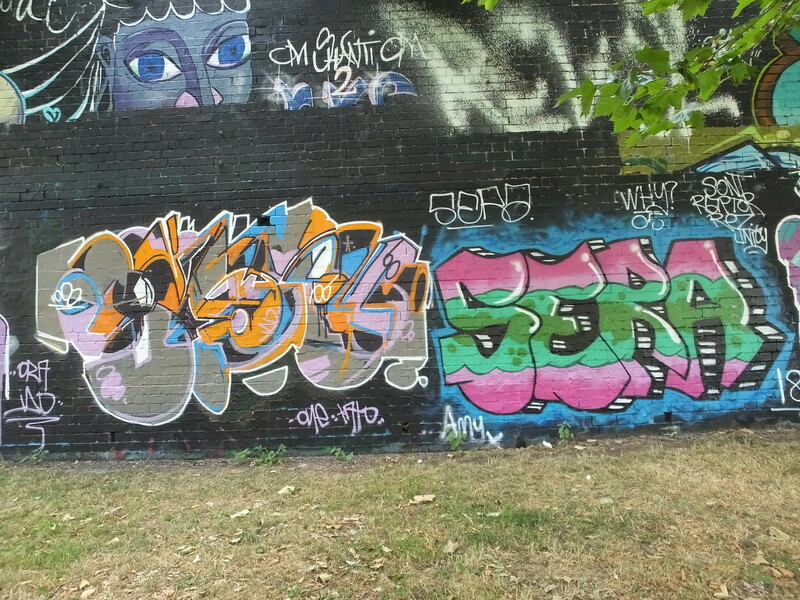 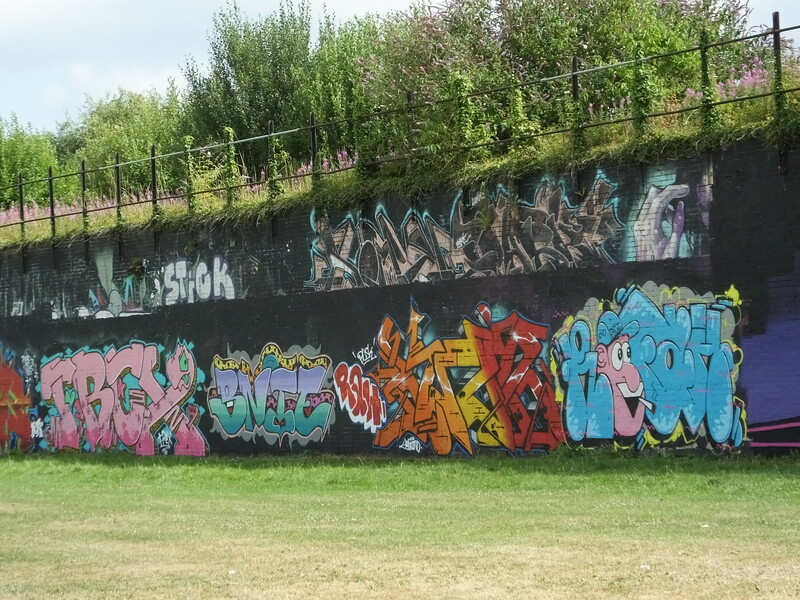 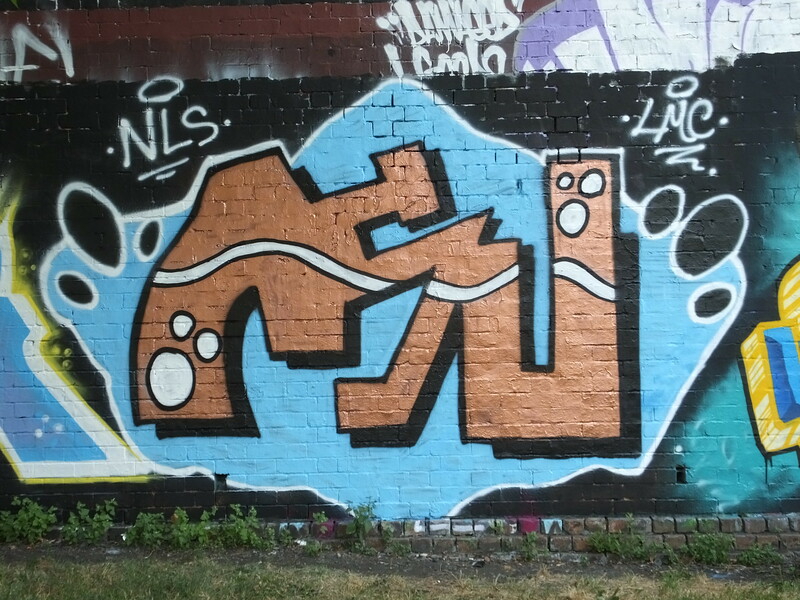 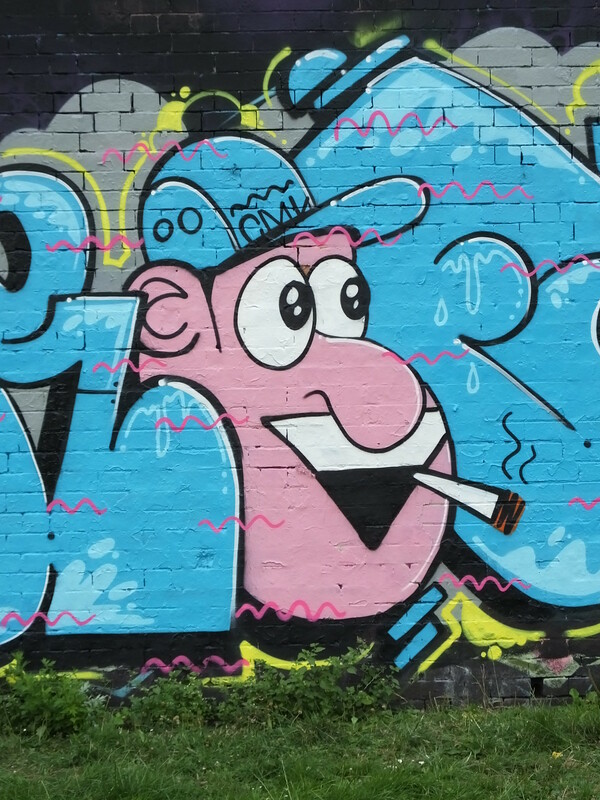 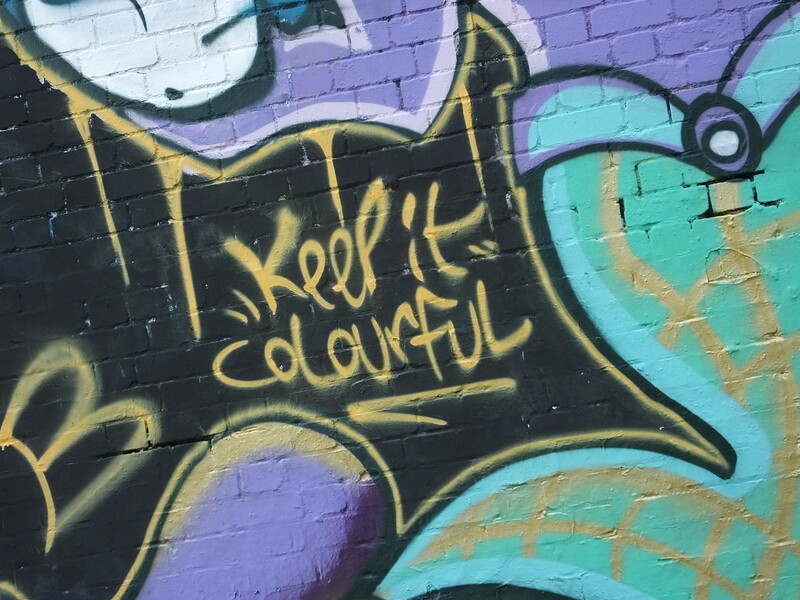 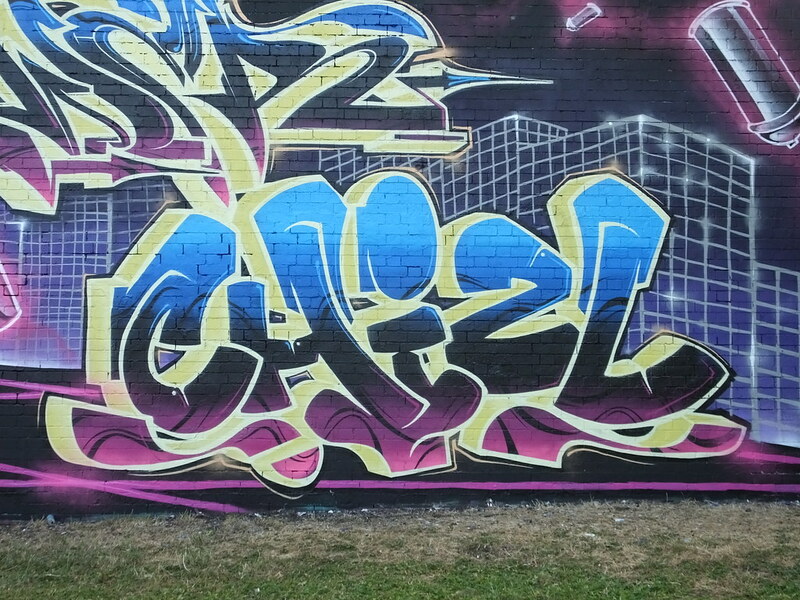 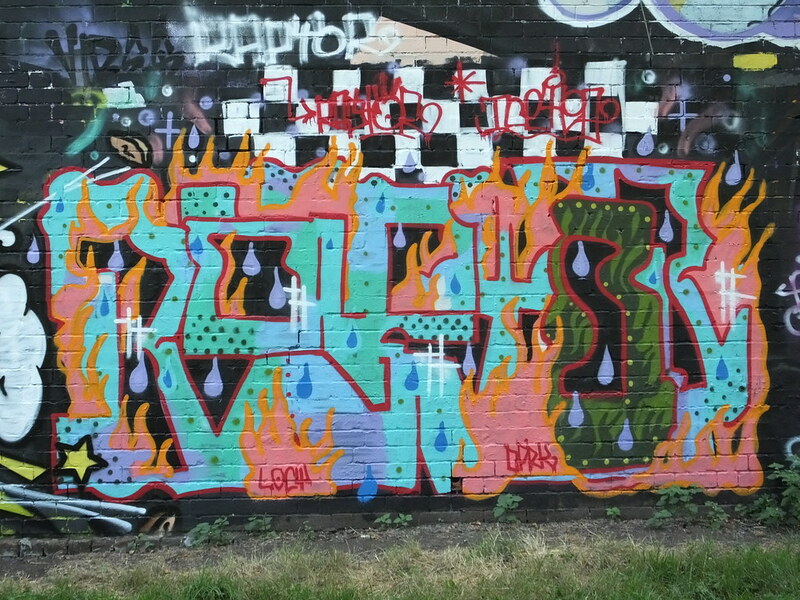 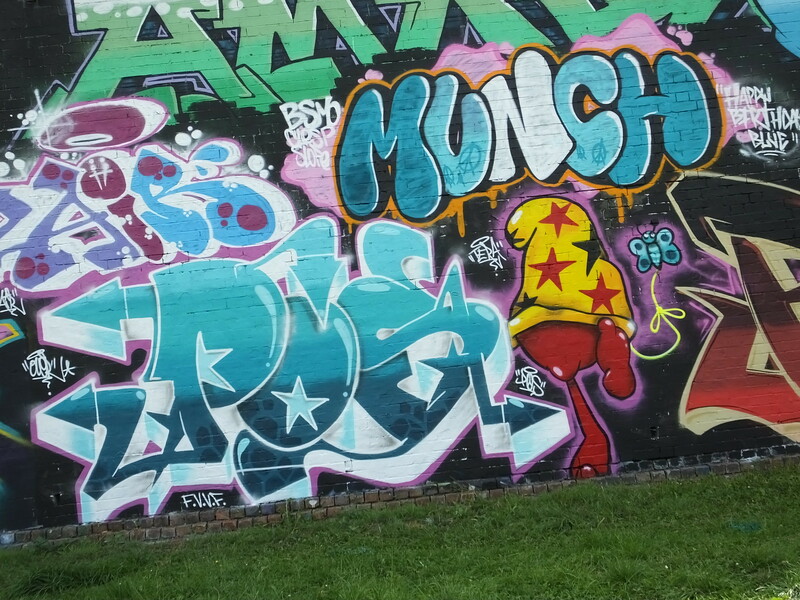 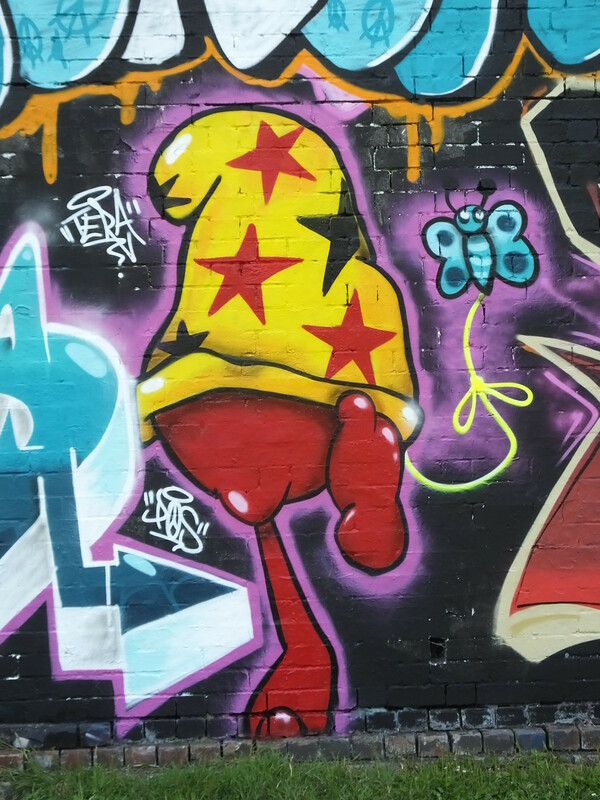 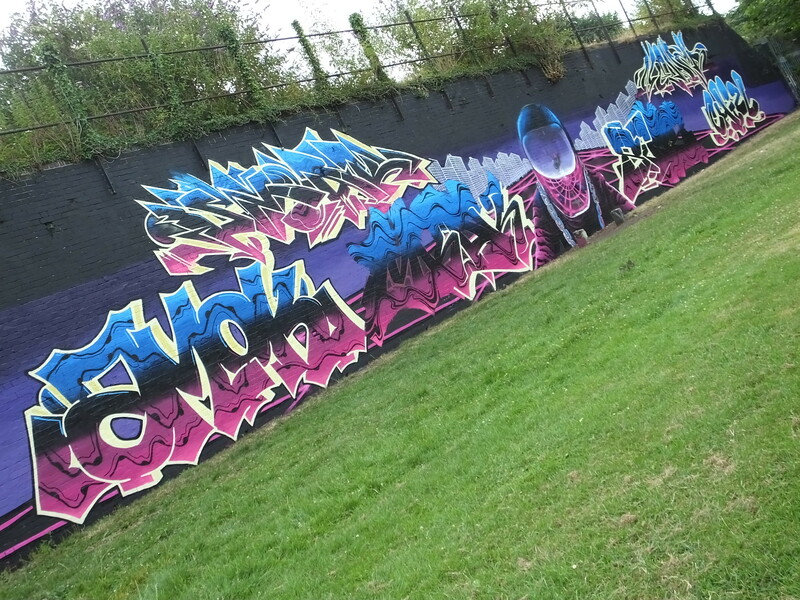 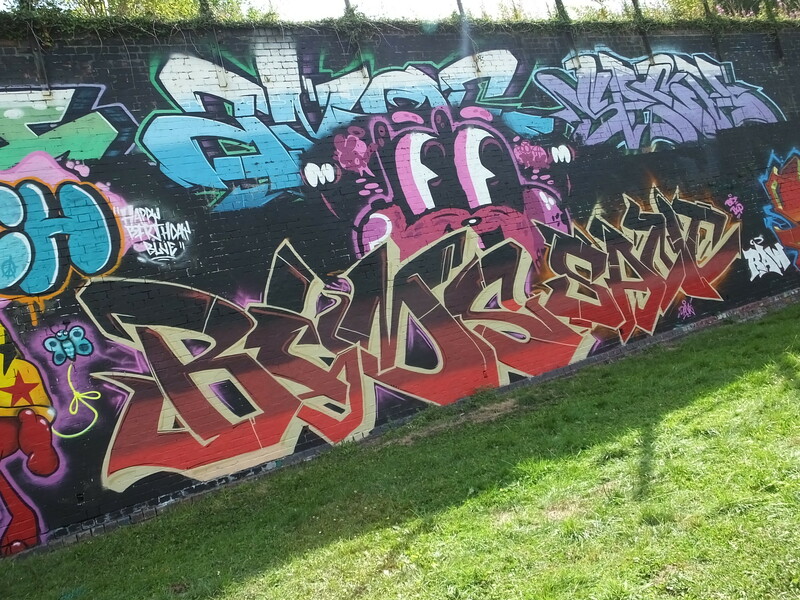 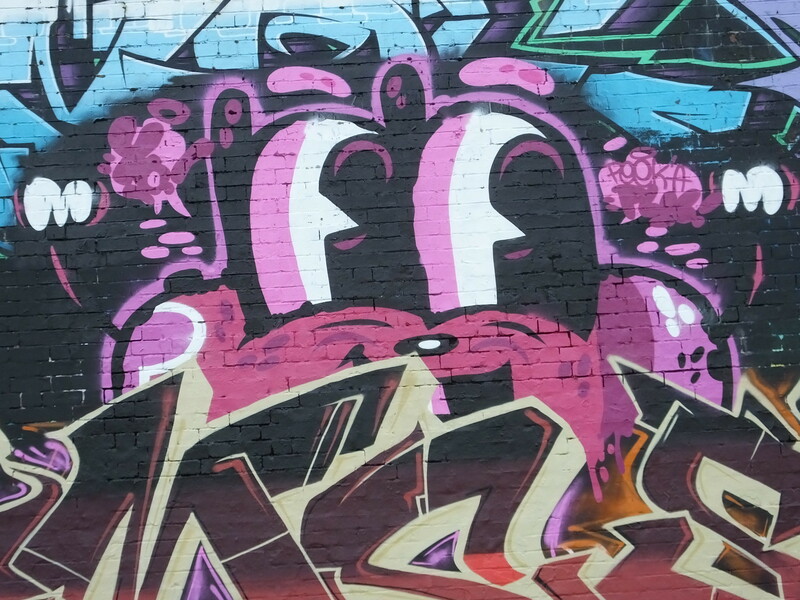 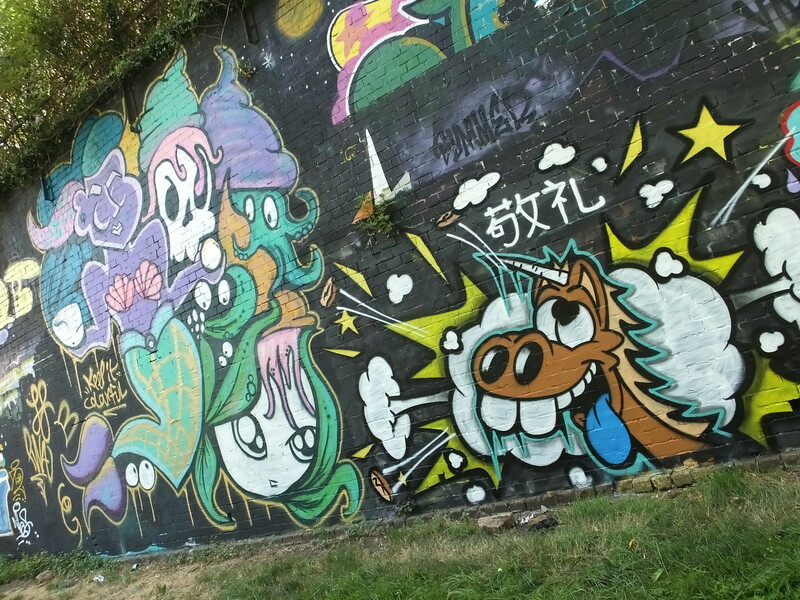 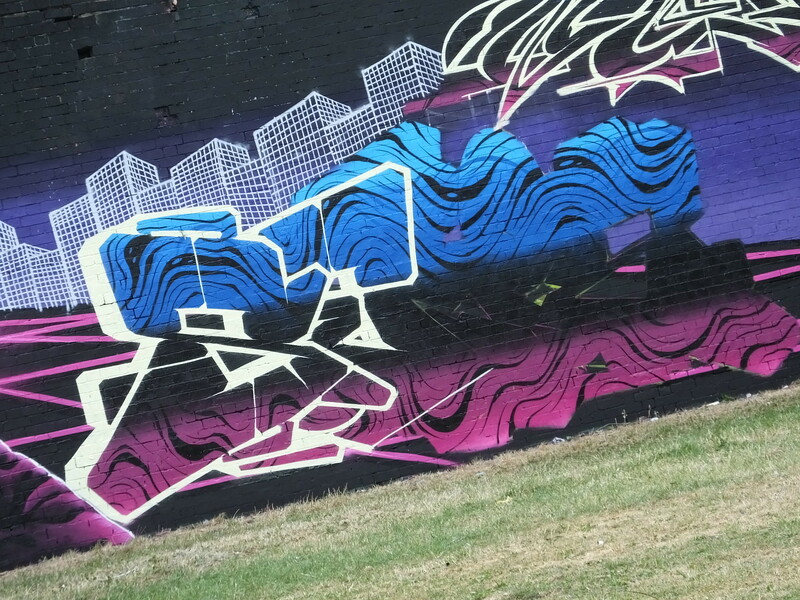 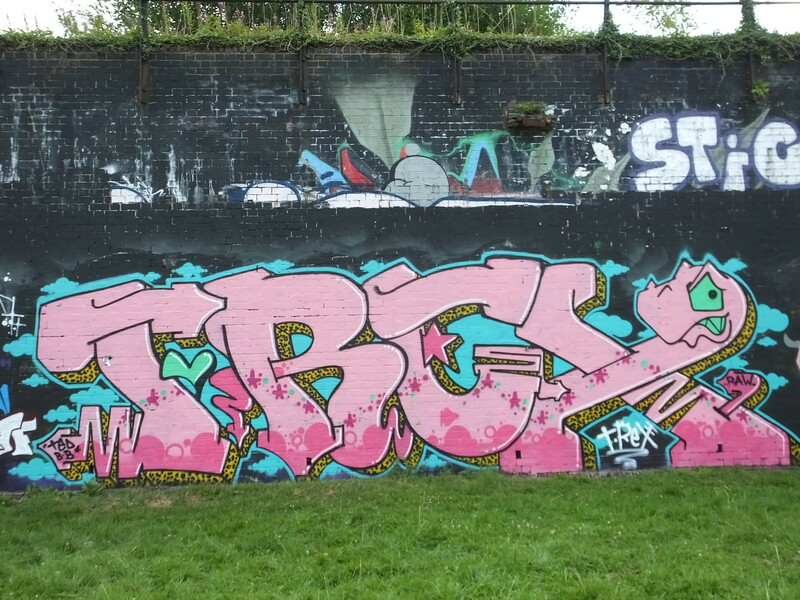 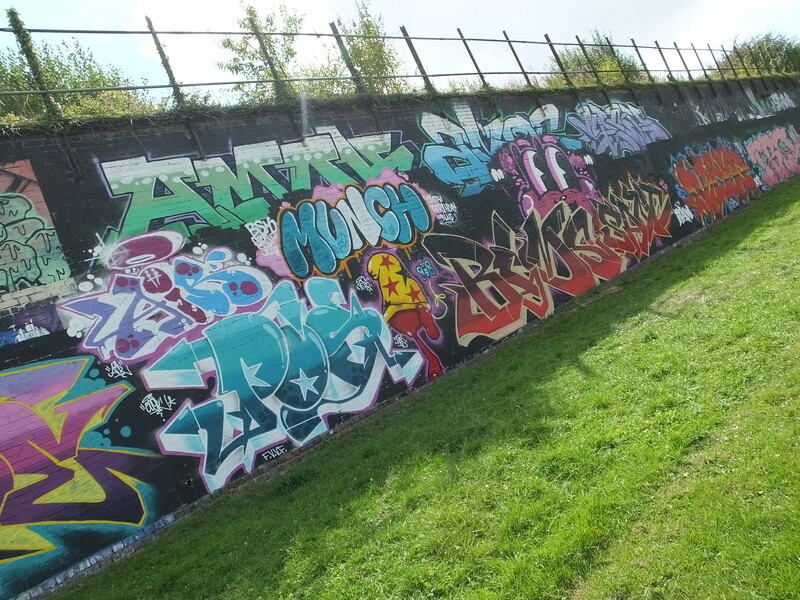 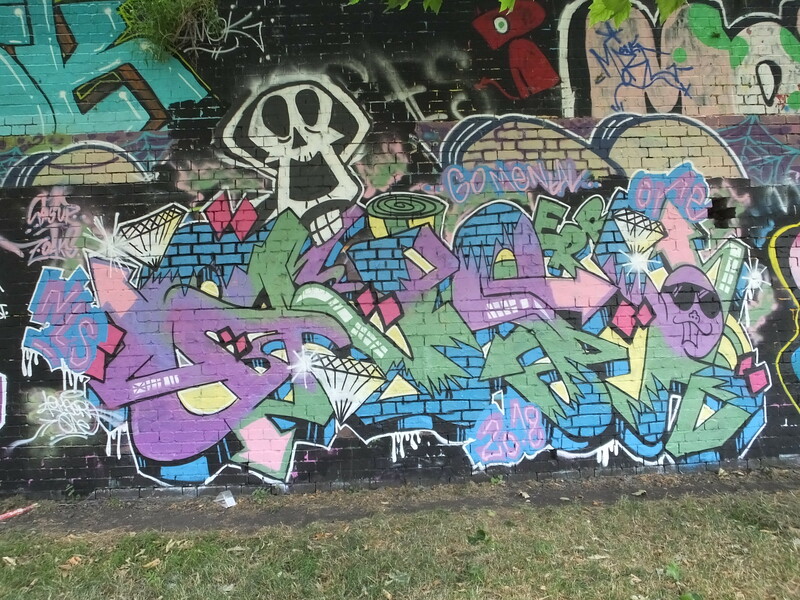 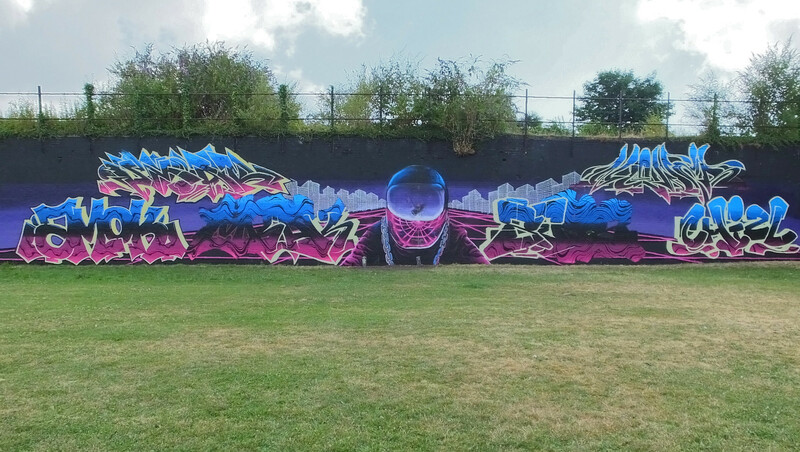 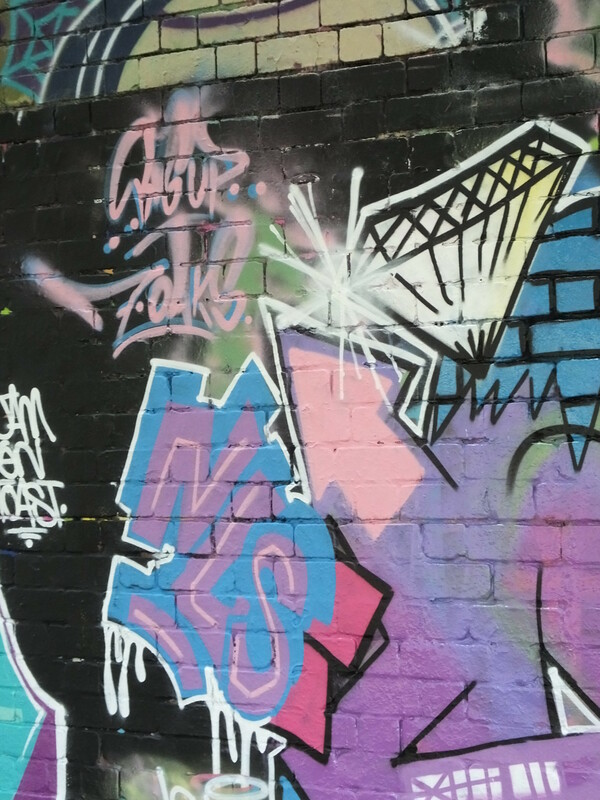 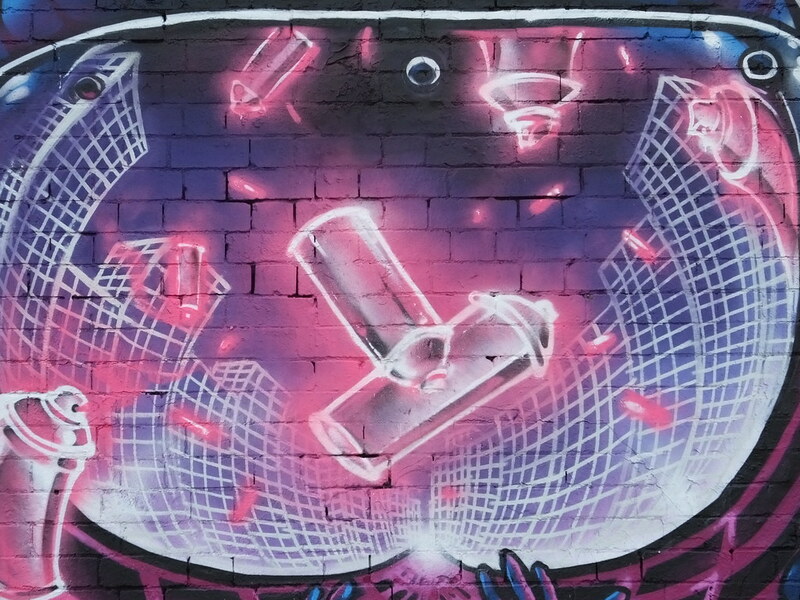 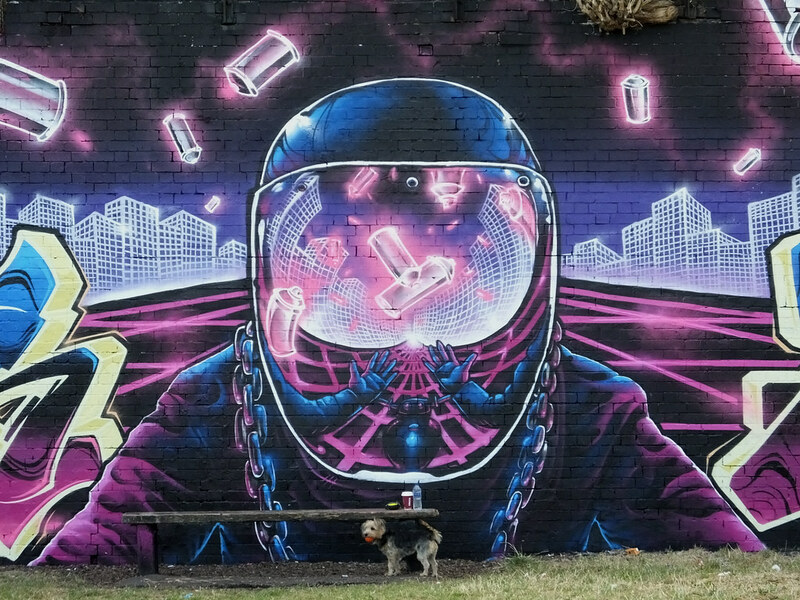 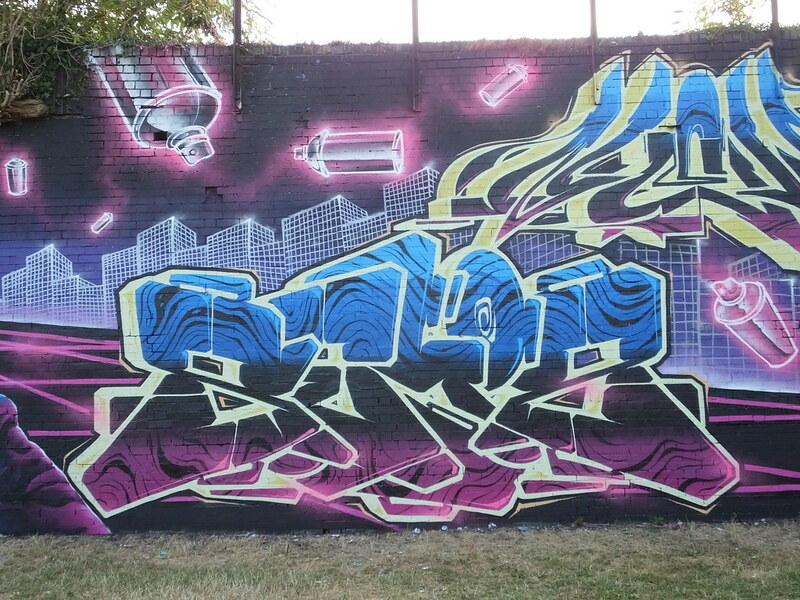 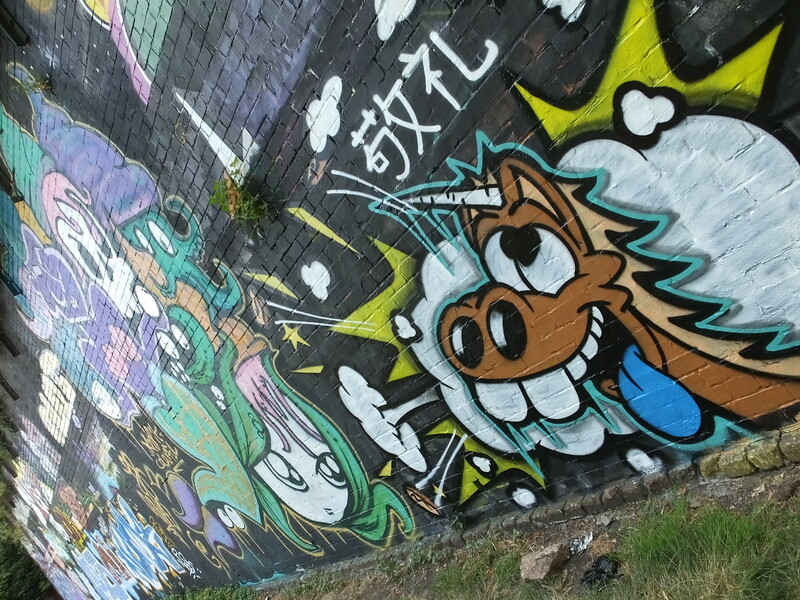 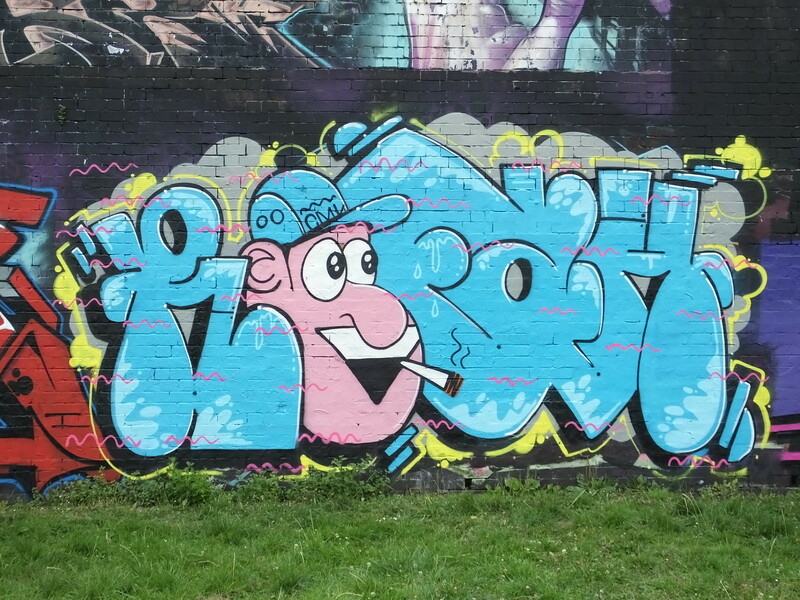 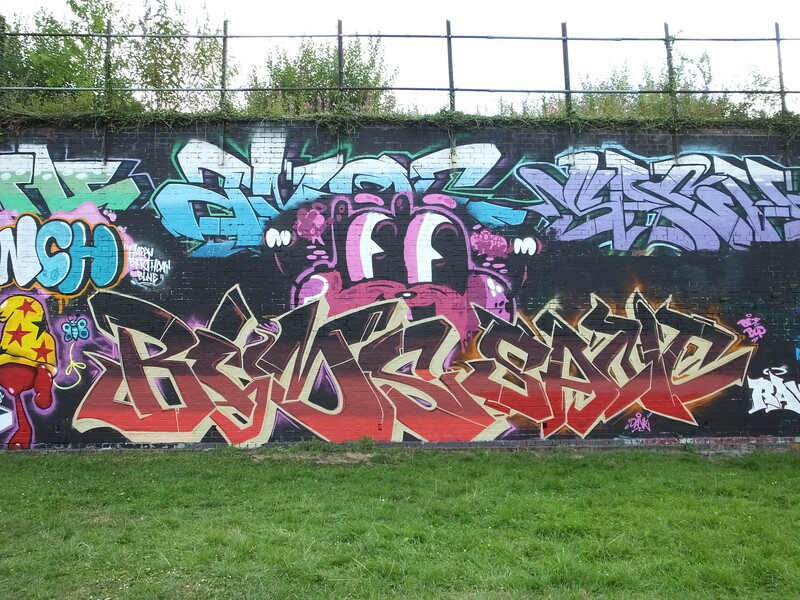 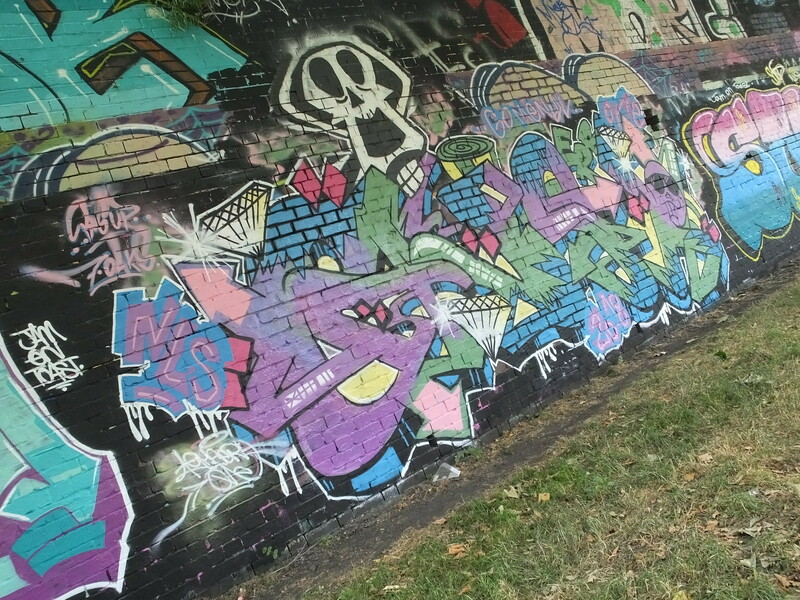 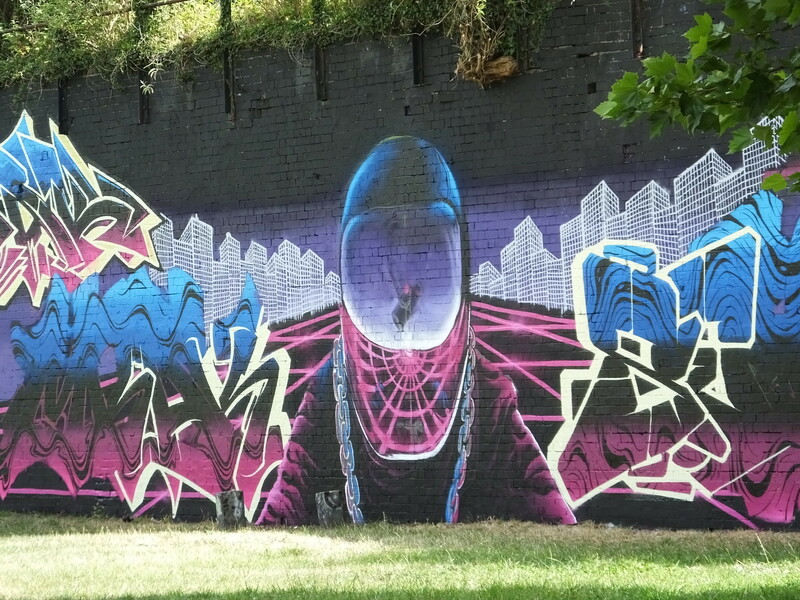 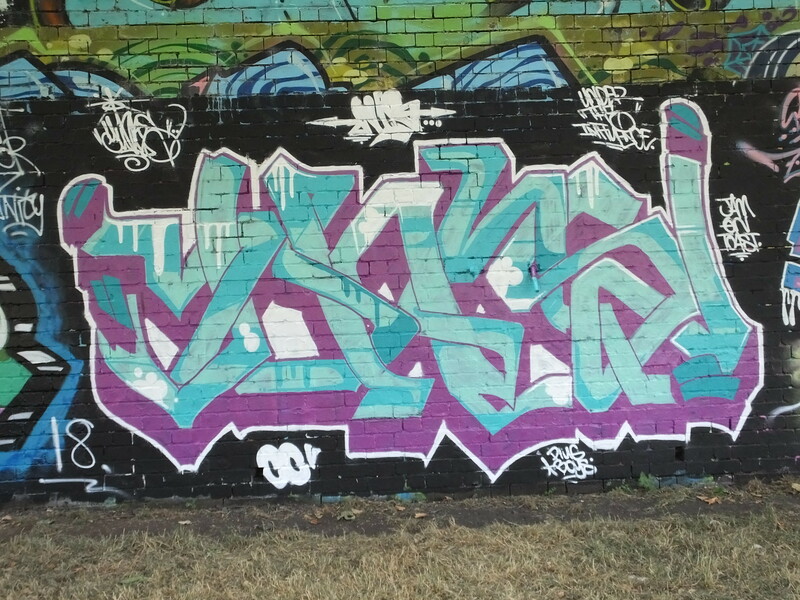 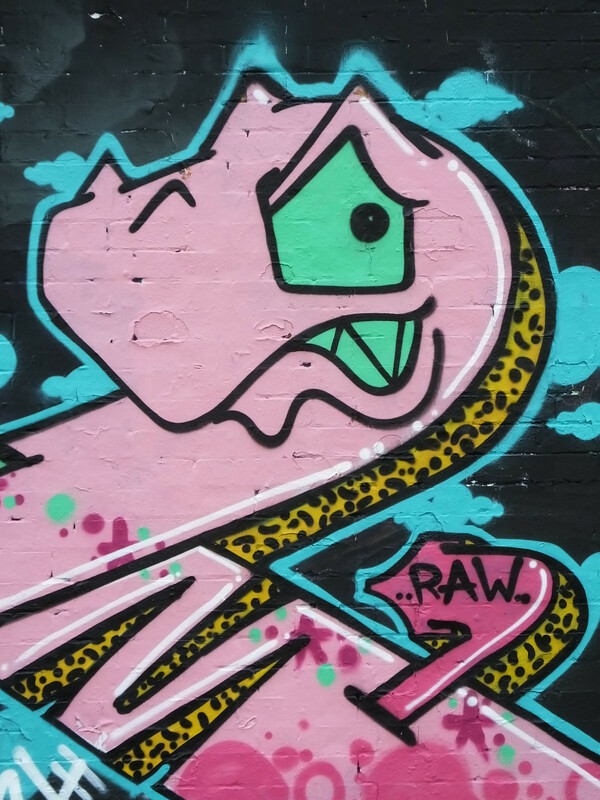 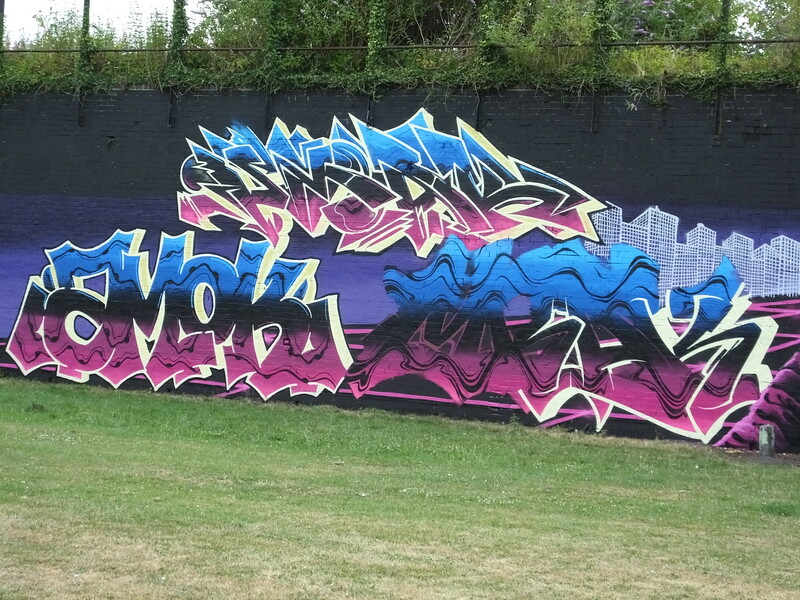 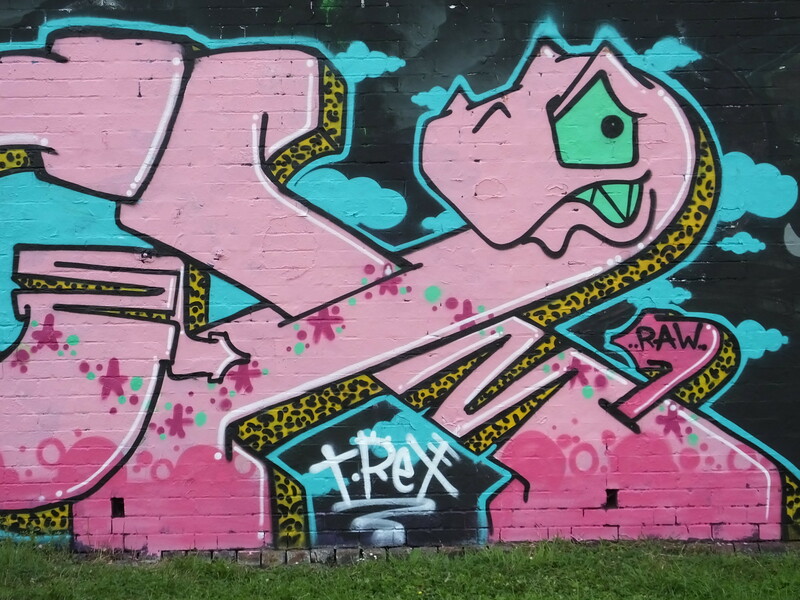 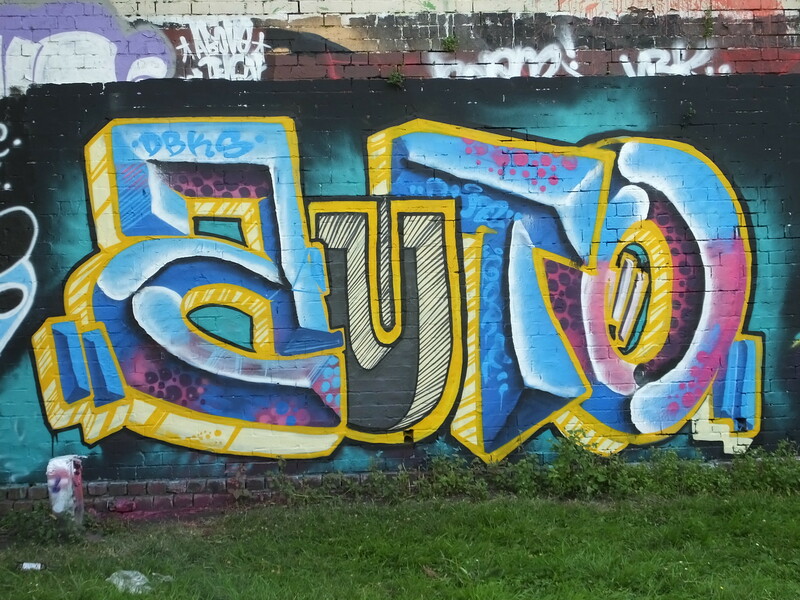 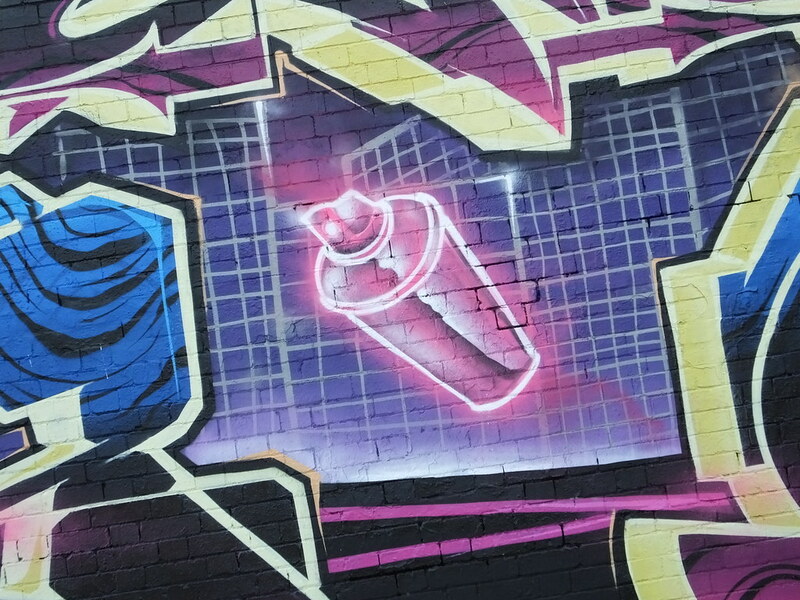 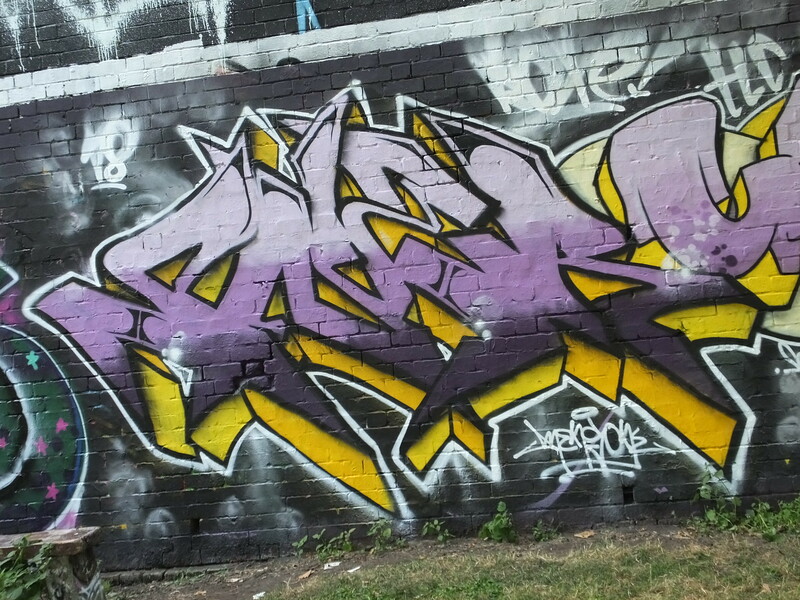 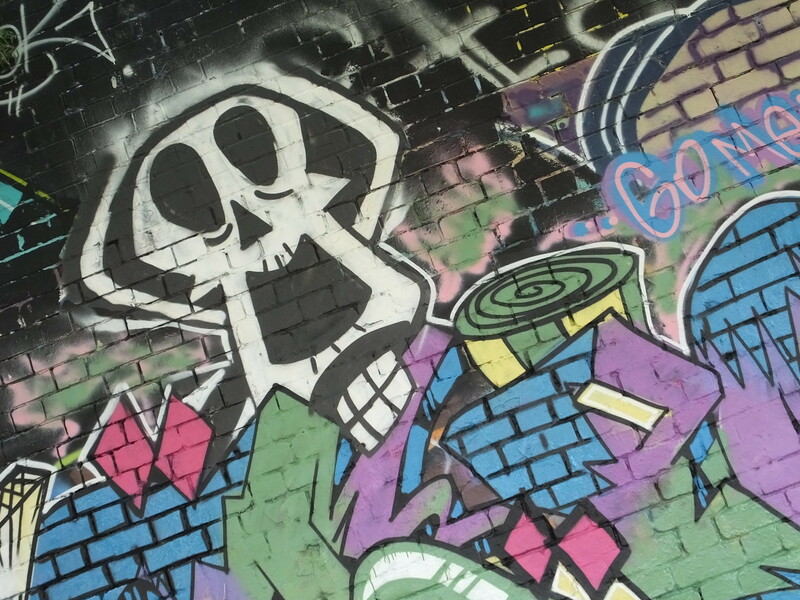 Moving along and some more great colourful pieces from even more writers including Trex and Bnie whilst Refa brought his dope character to the wall. 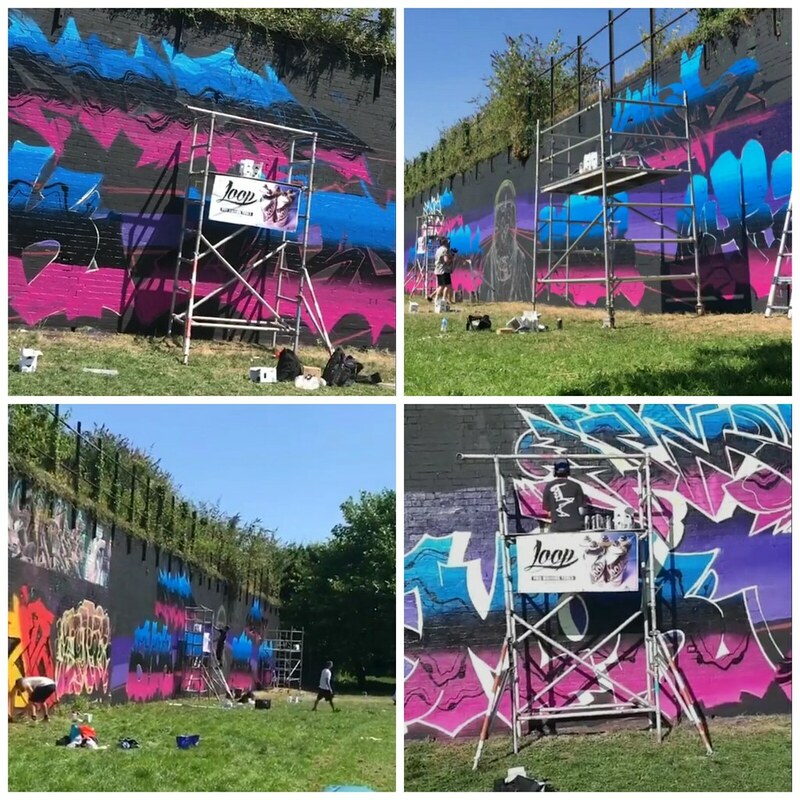 Thanks to everyone who posted images to their social media channels to showcase the event for those that couldn’t attend. 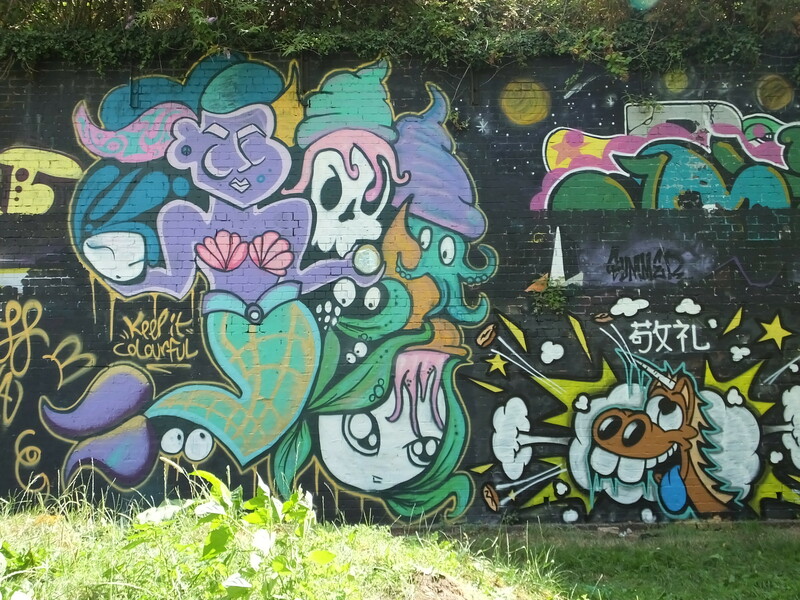 Lots of collaboration across the whole wall with one massive collab at the very end on the right featuring a whole host of artists including Amok, Loop Colours and Chizl. 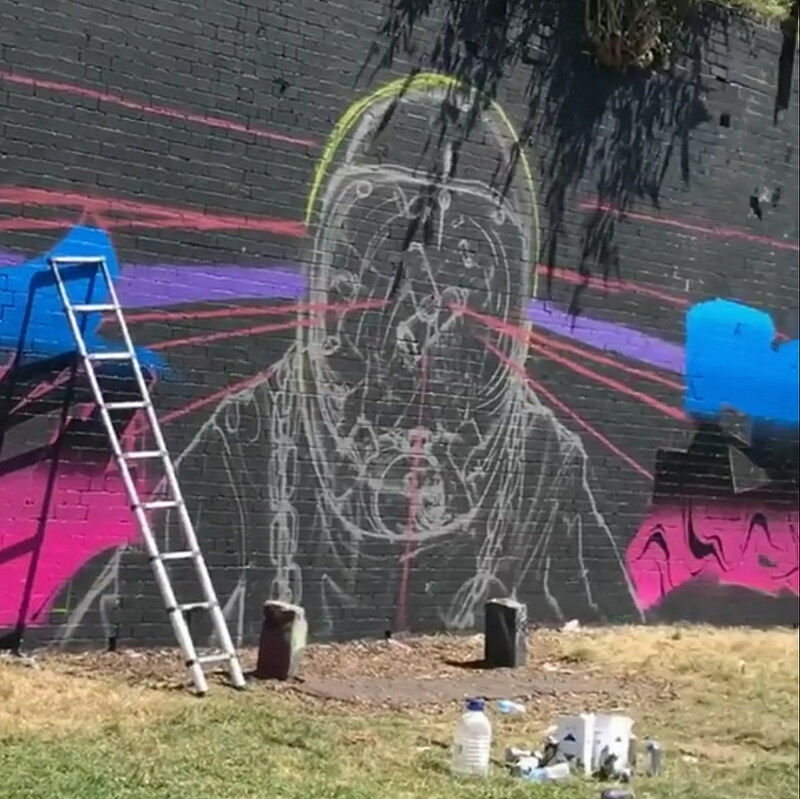 It’s always great to see how the work is constructed with ghost lines and layer after layer added as the piece slowly takes shape. 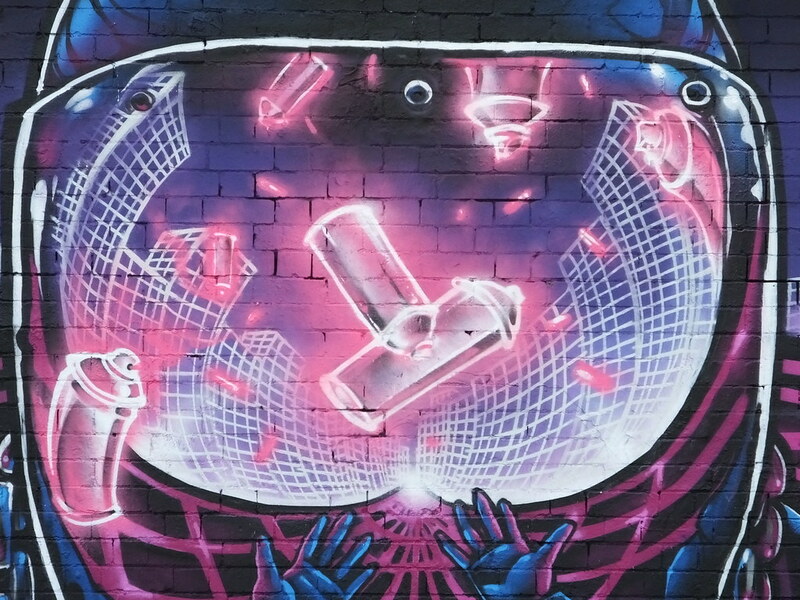 This one must’ve taken more than a day to complete – so large with so many different elements going on! 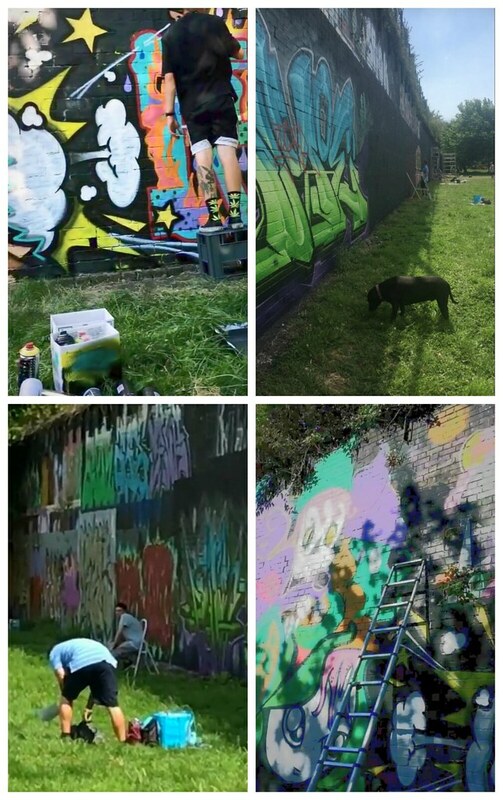 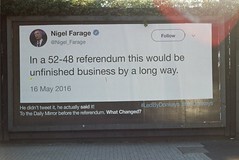 Returning a week later to snap the completed work and WOW – what a masterpiece! 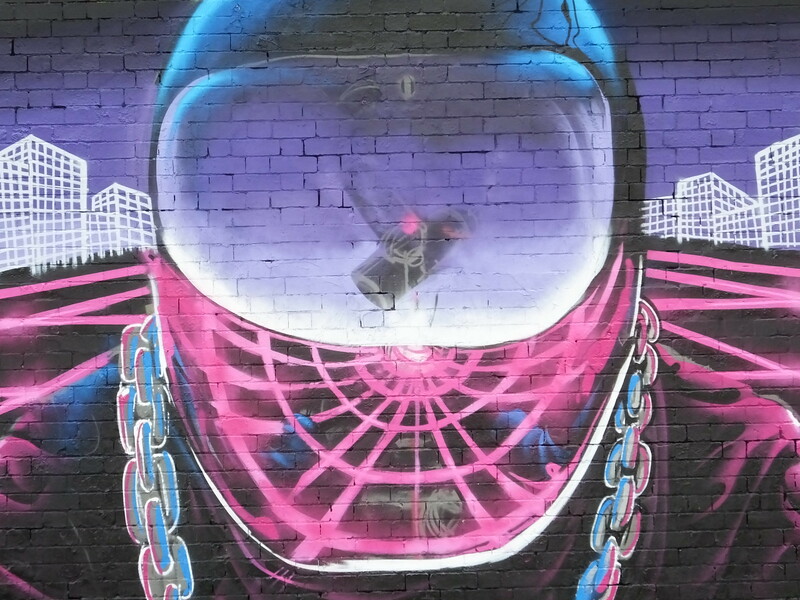 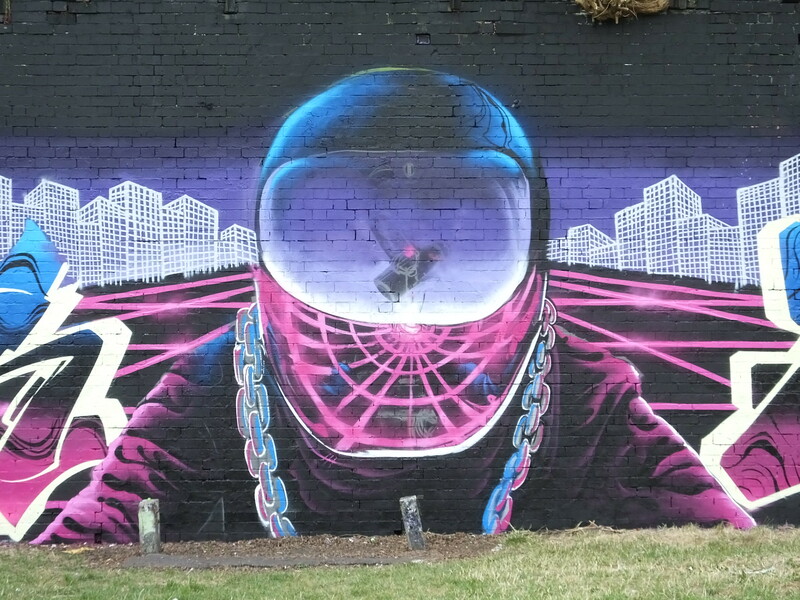 Taking the neon Tron-like gaming experience and throwing in a shiny helmet and reflective spary cans throughout the piece – totally amazing colours and metallic effect! 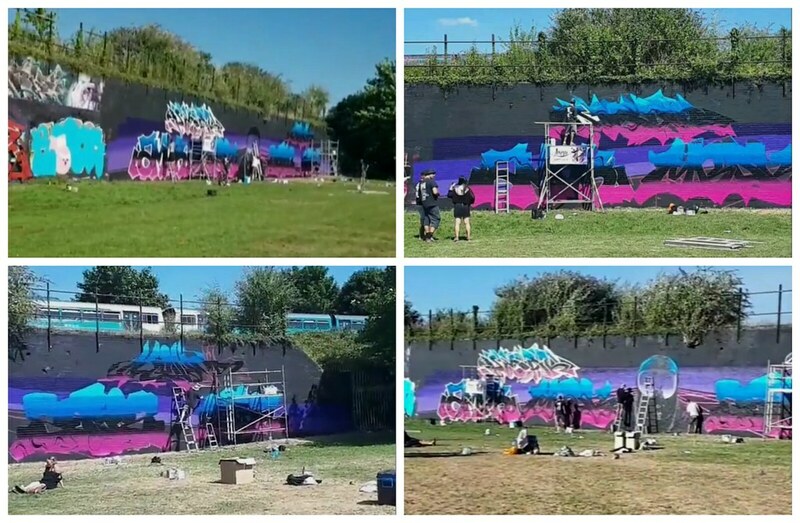 Big up Misery Hymns for organising and also everyone turning up to paint this fantastic wall.